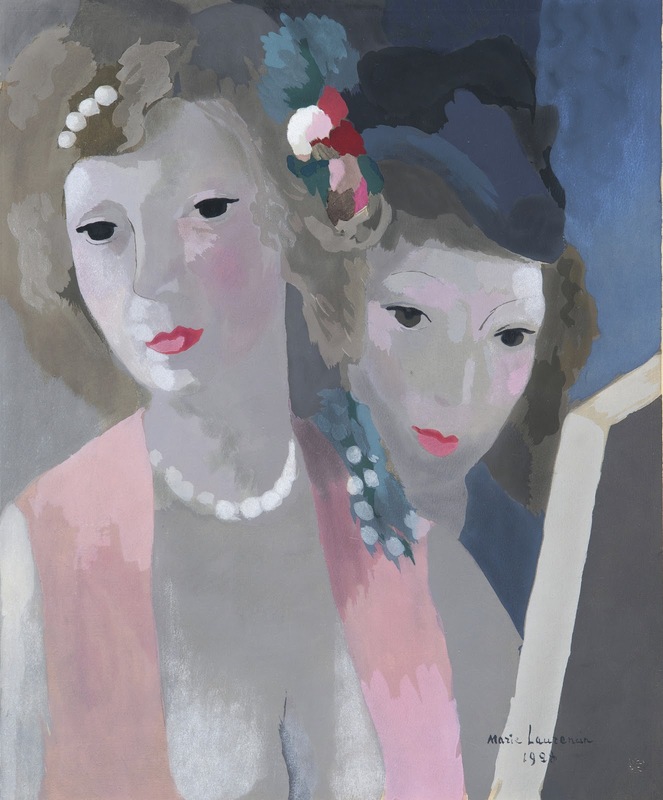 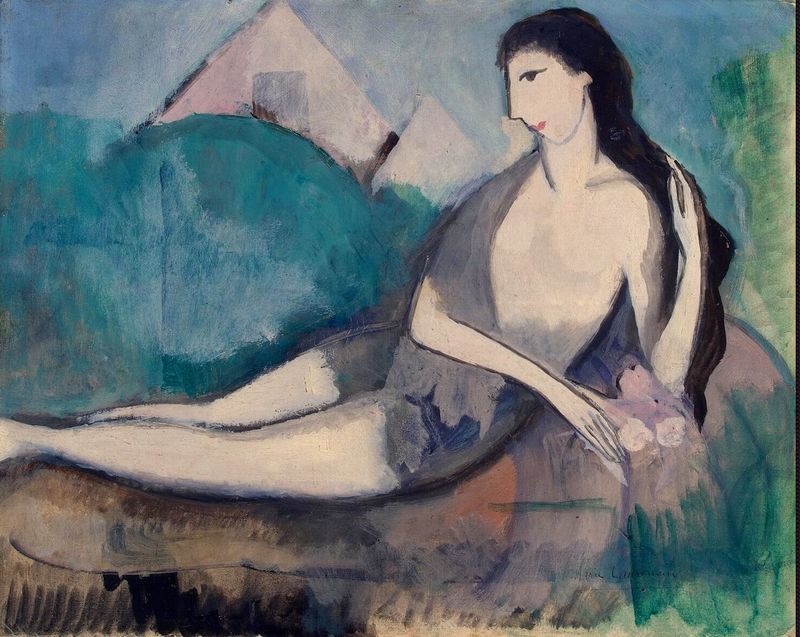 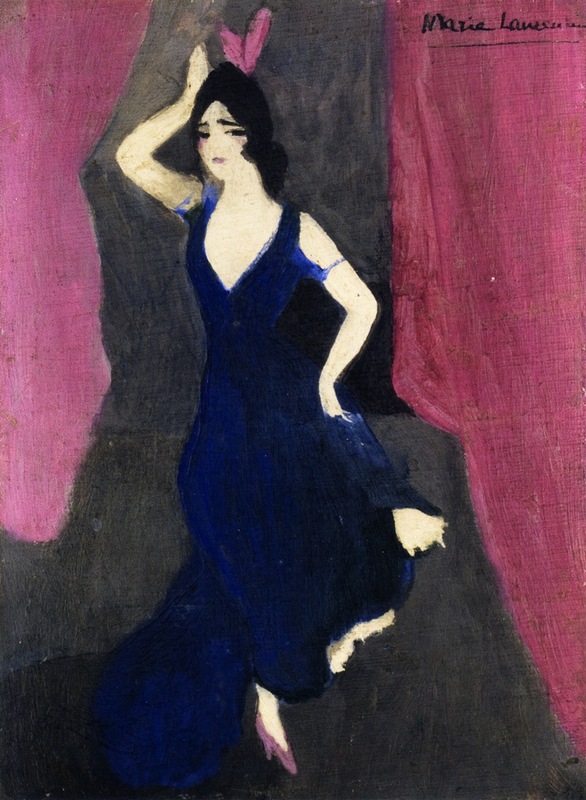 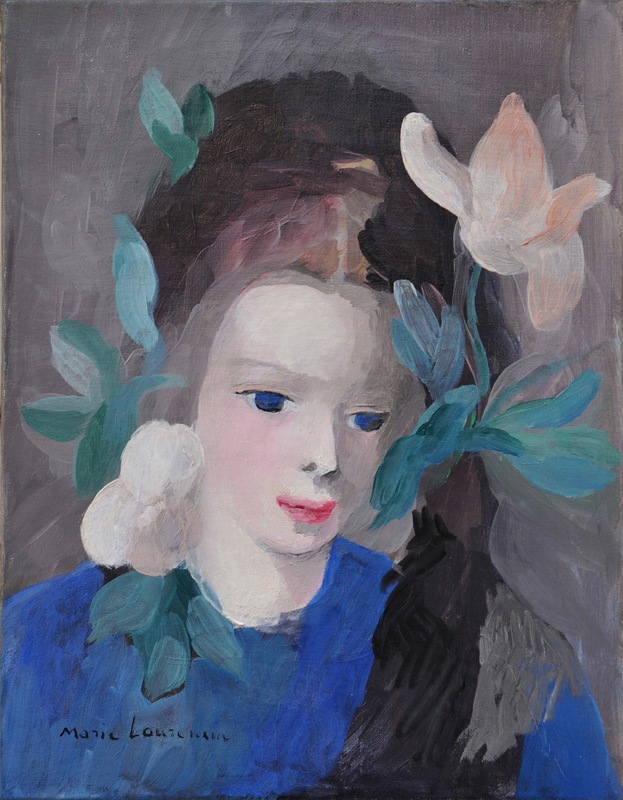 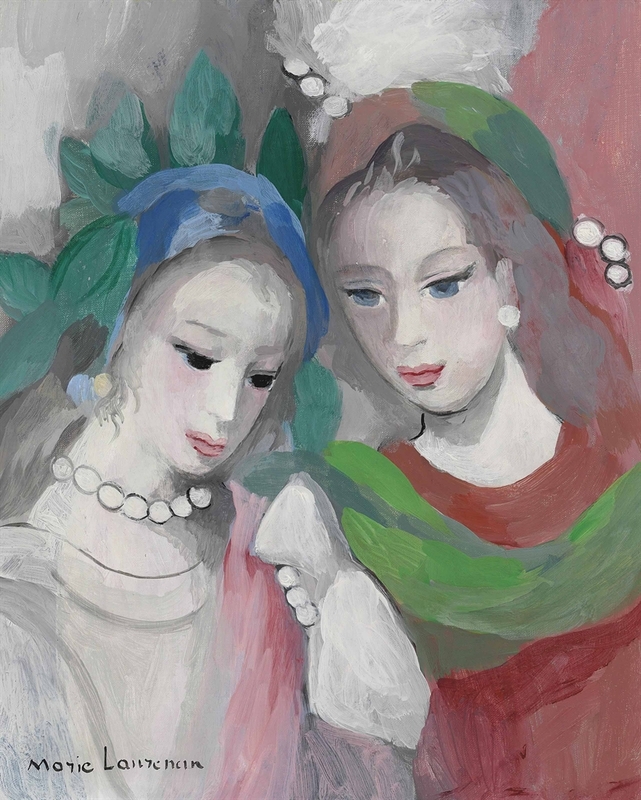 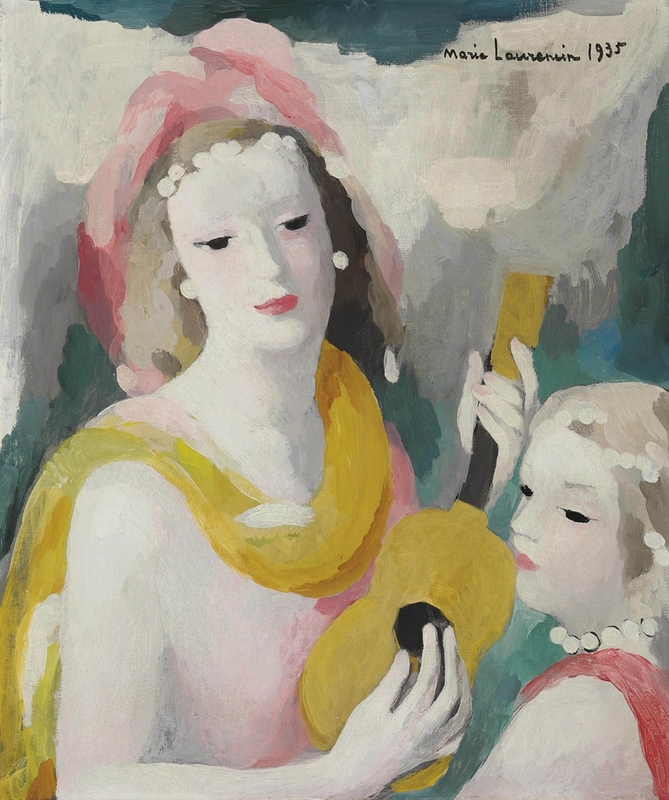 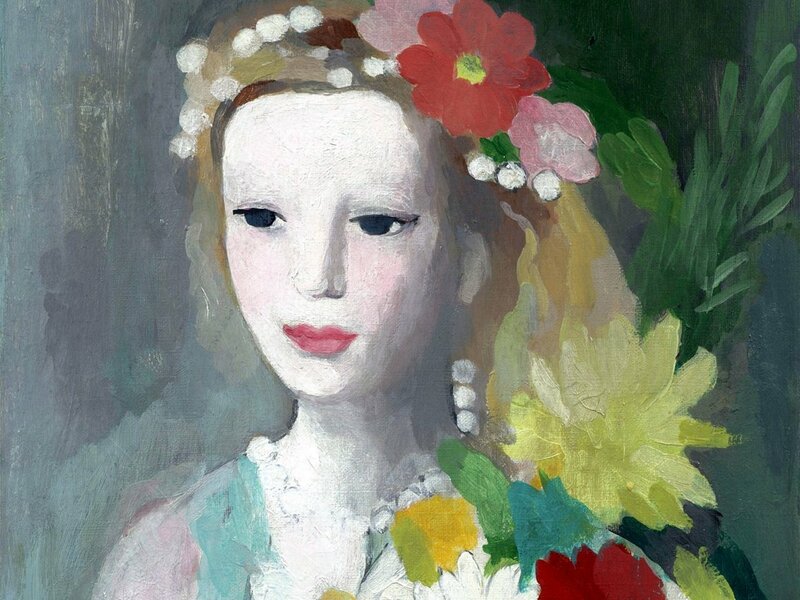 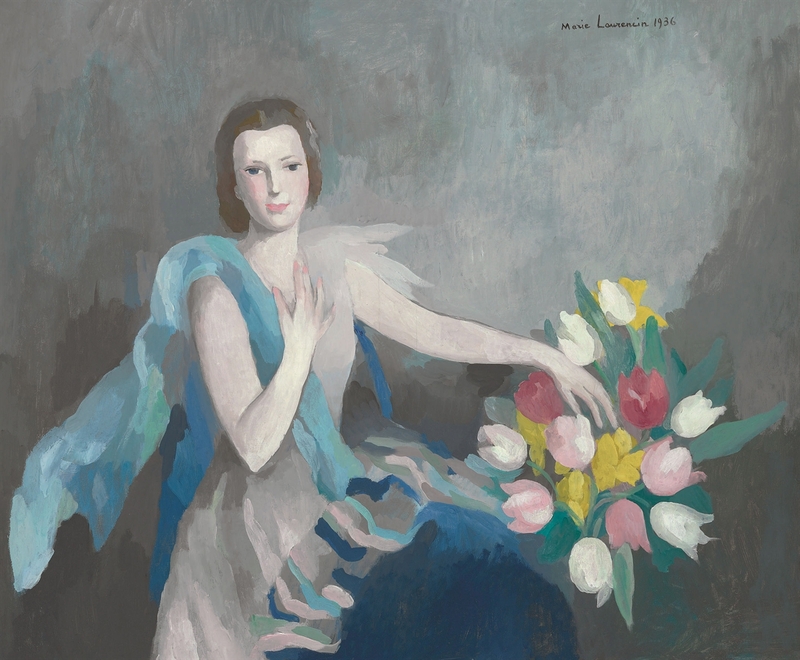 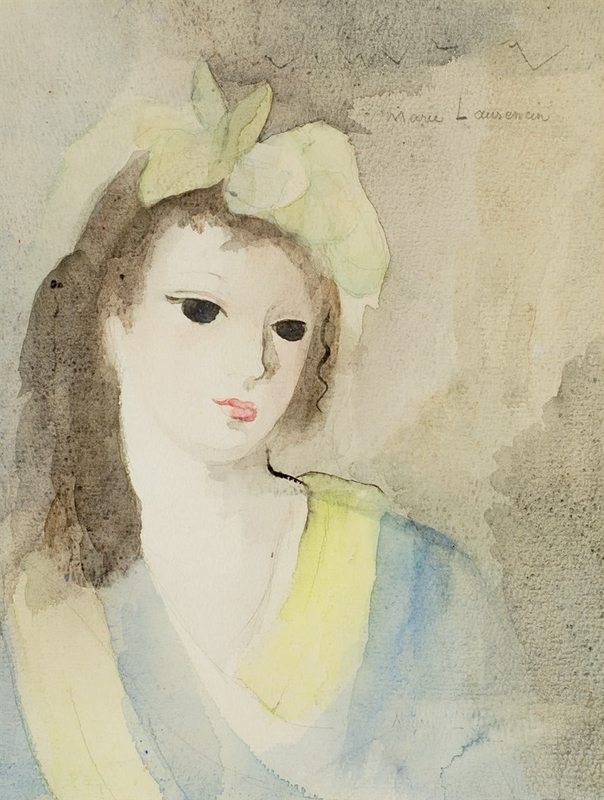 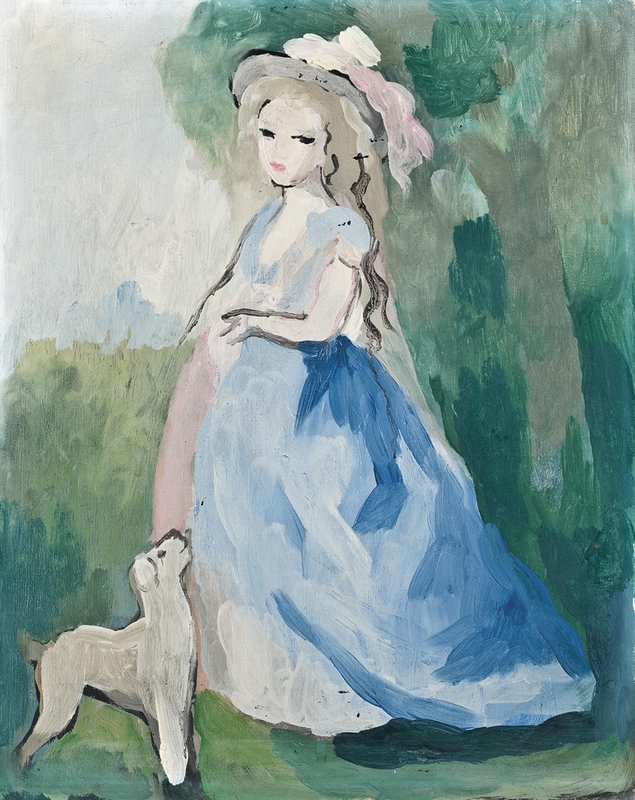 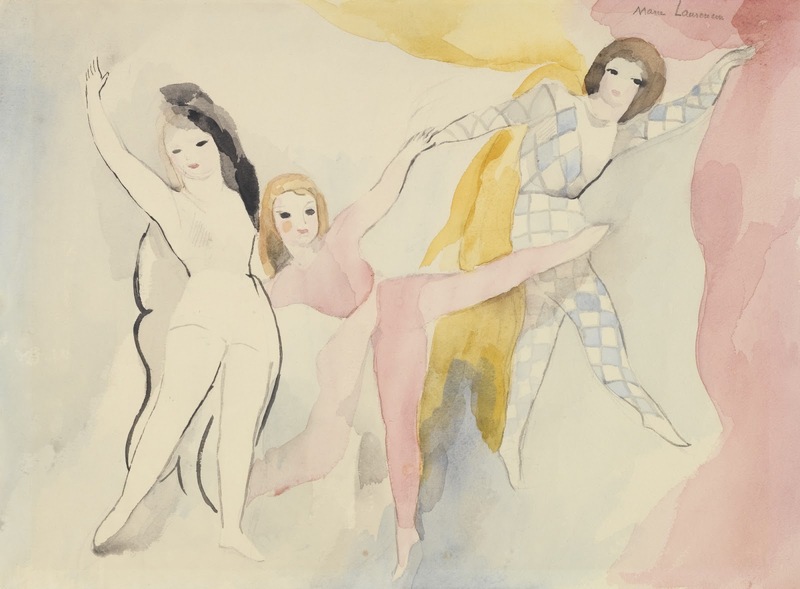 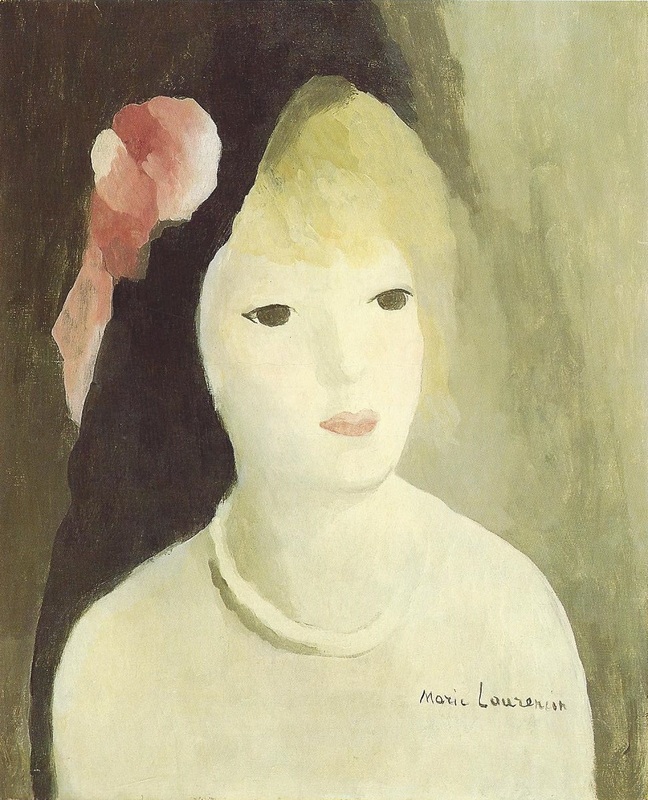 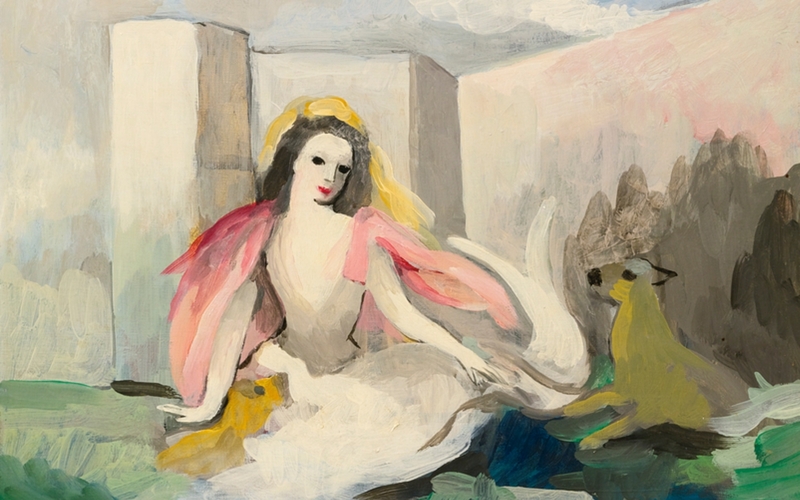 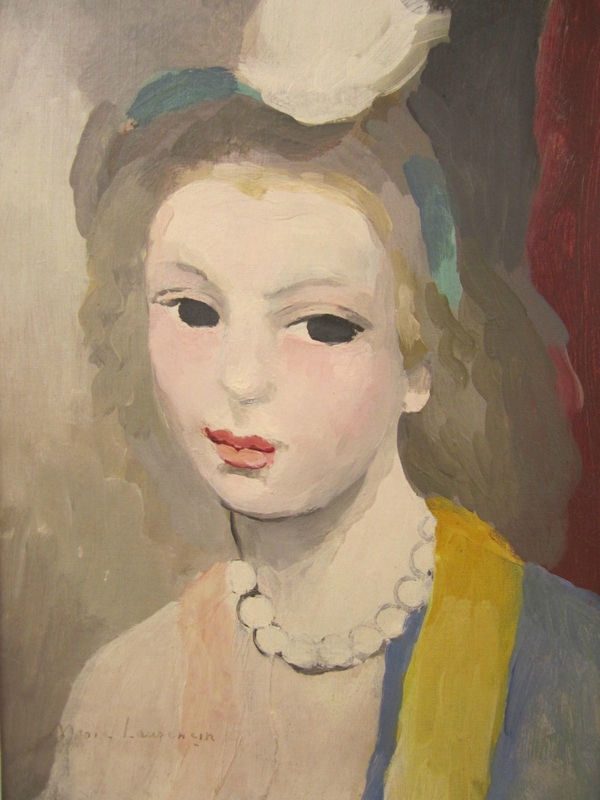 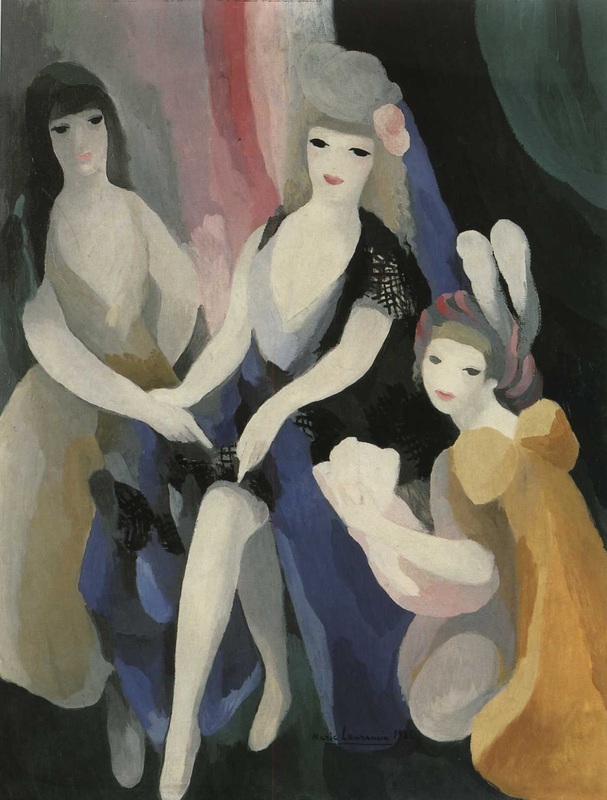 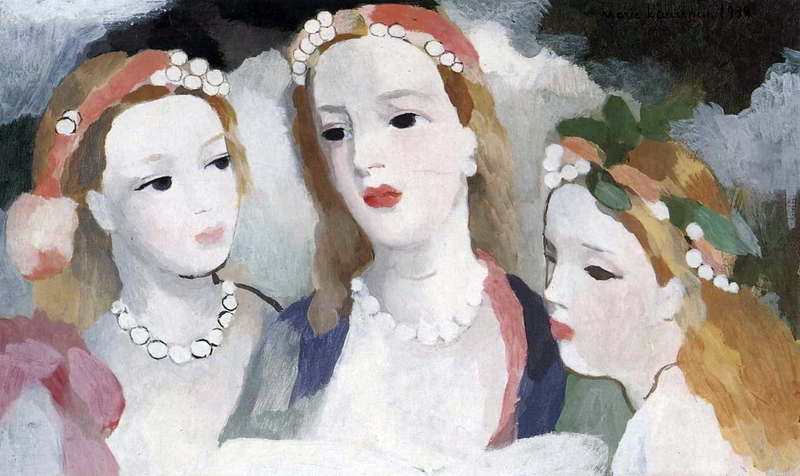 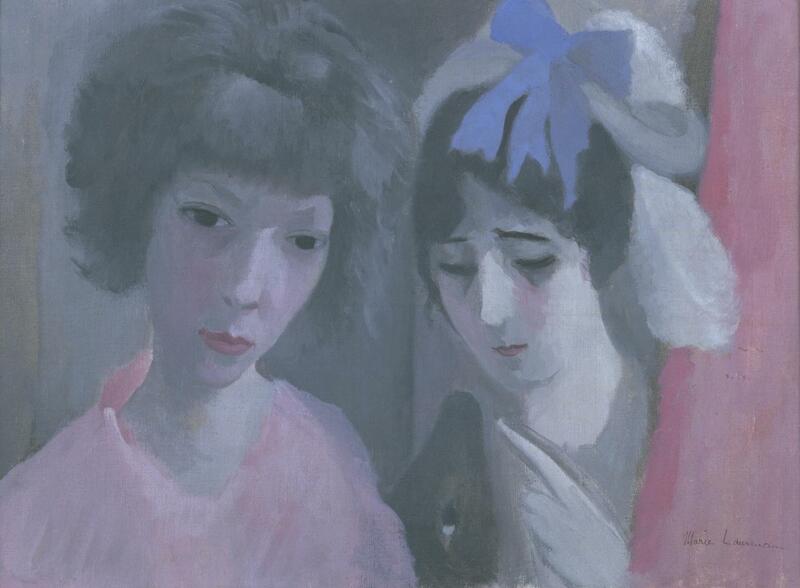 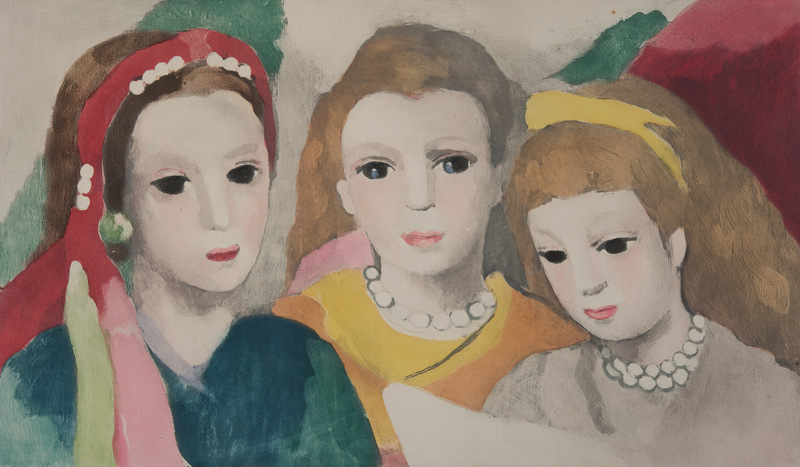 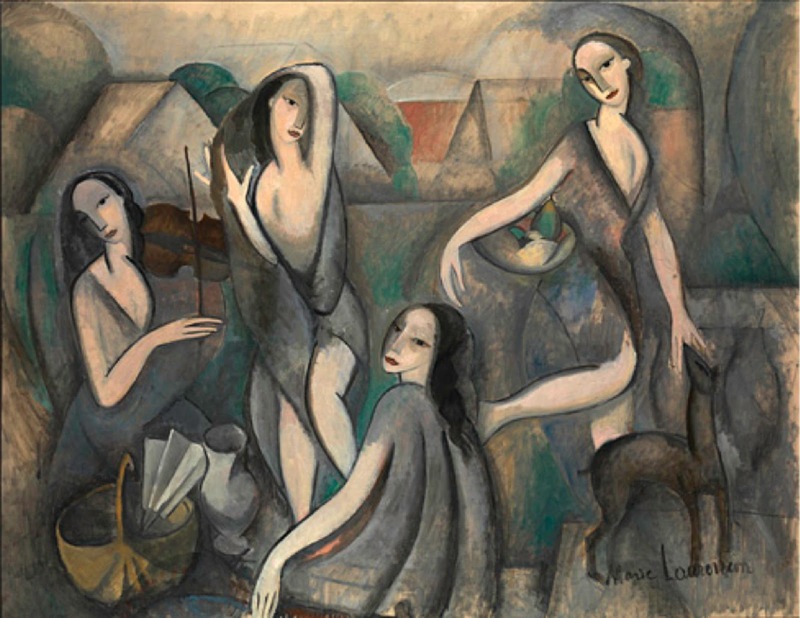 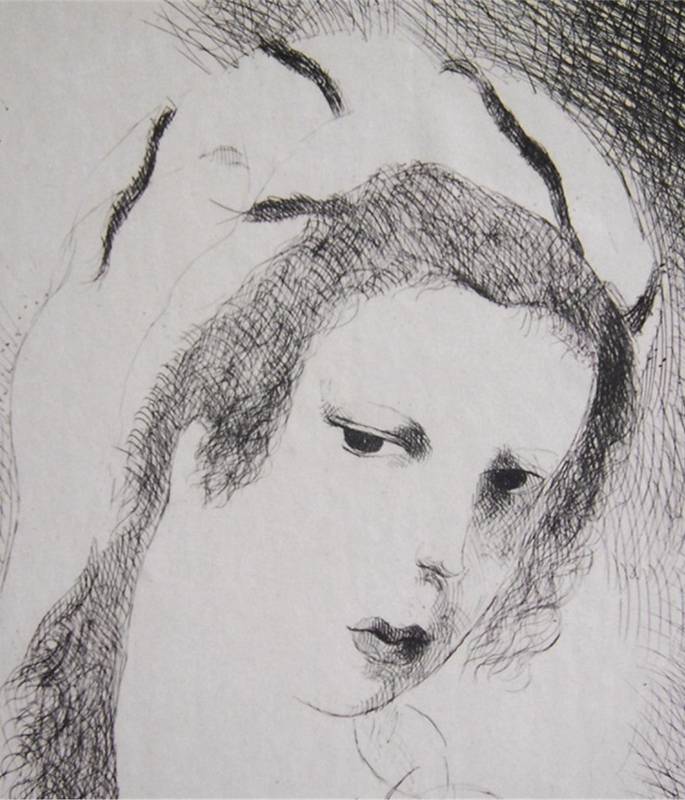 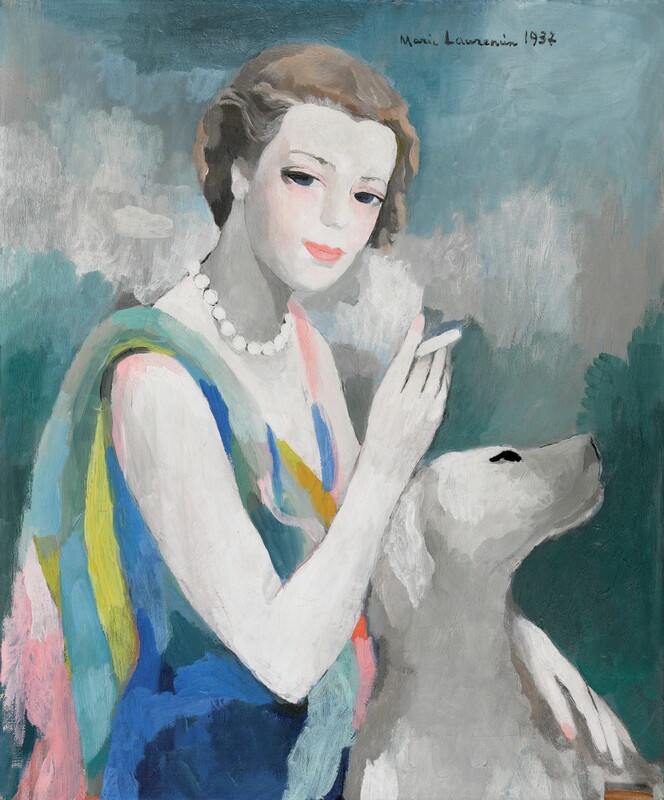 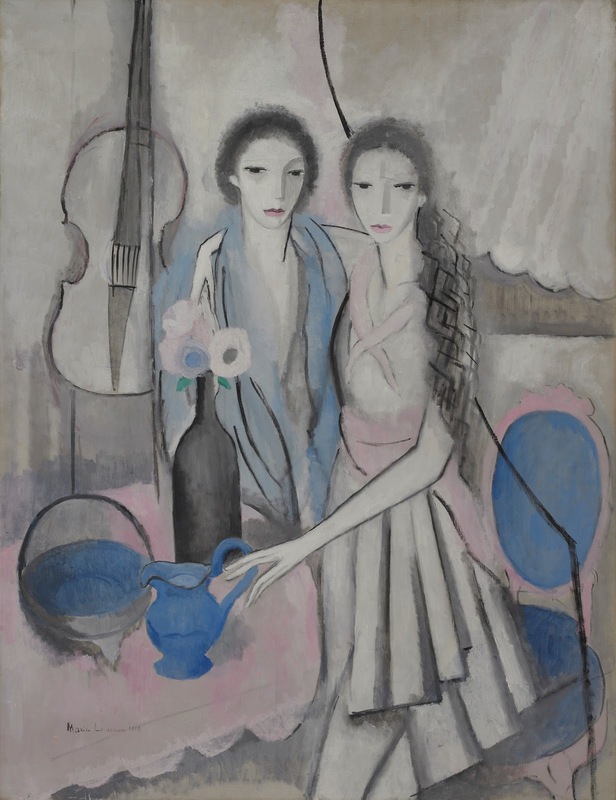 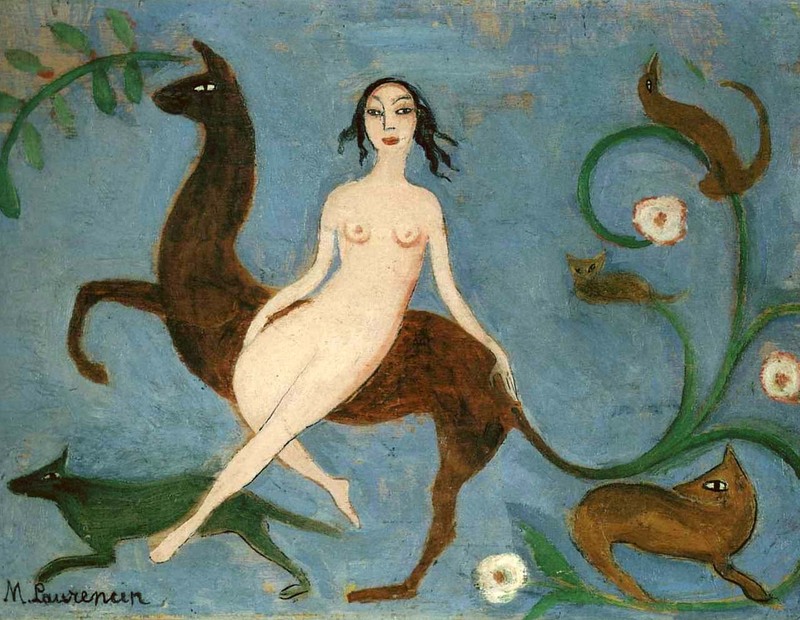 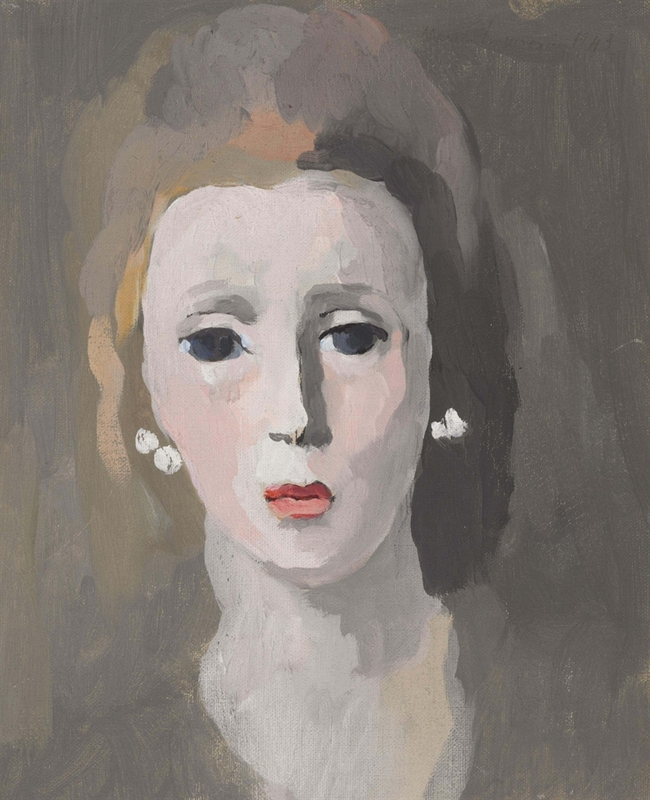 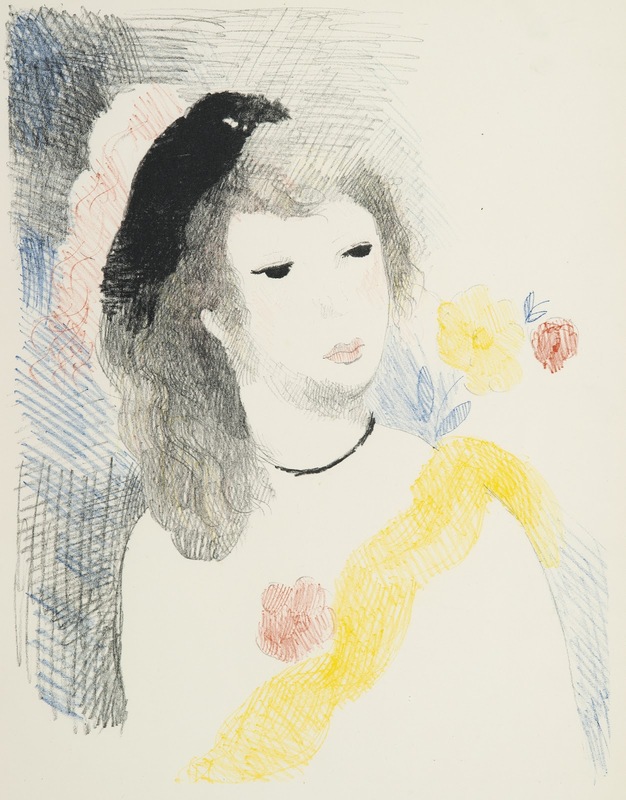 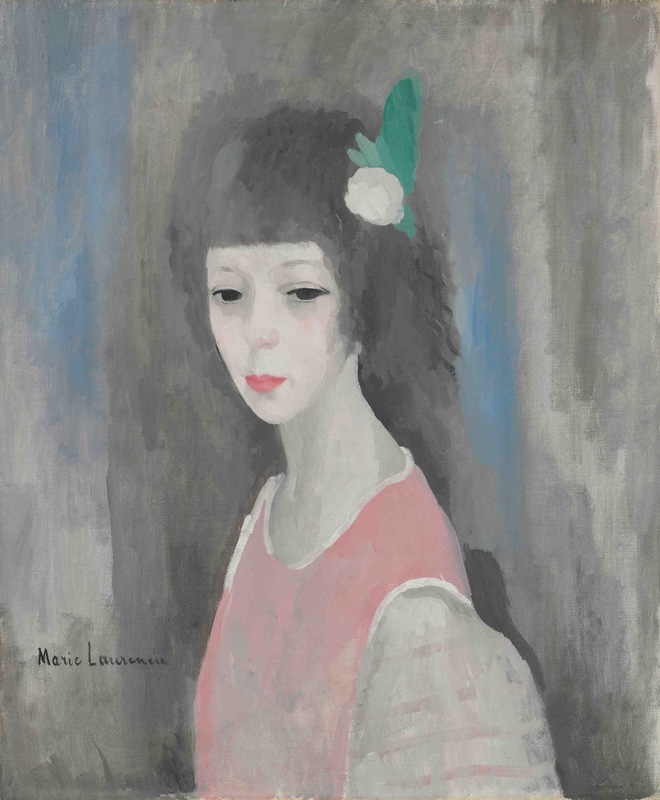 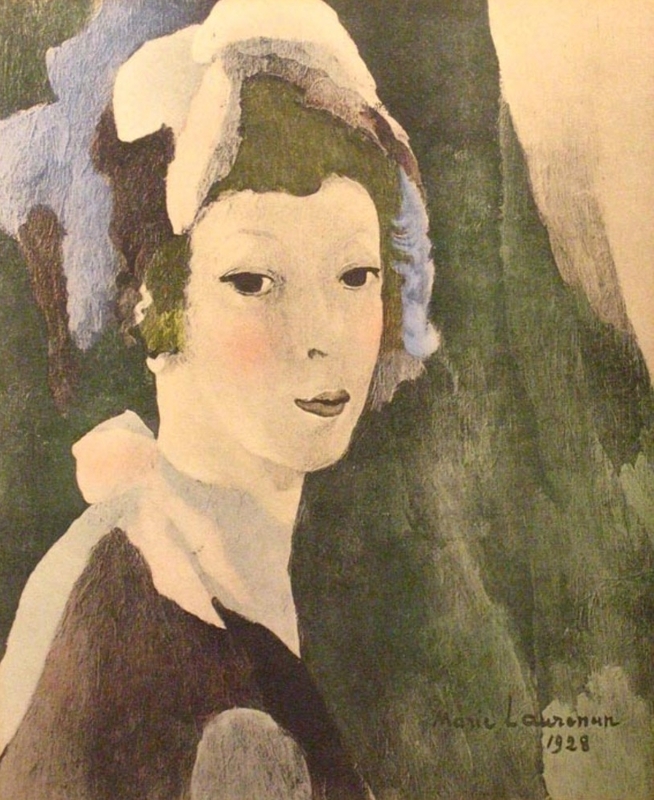 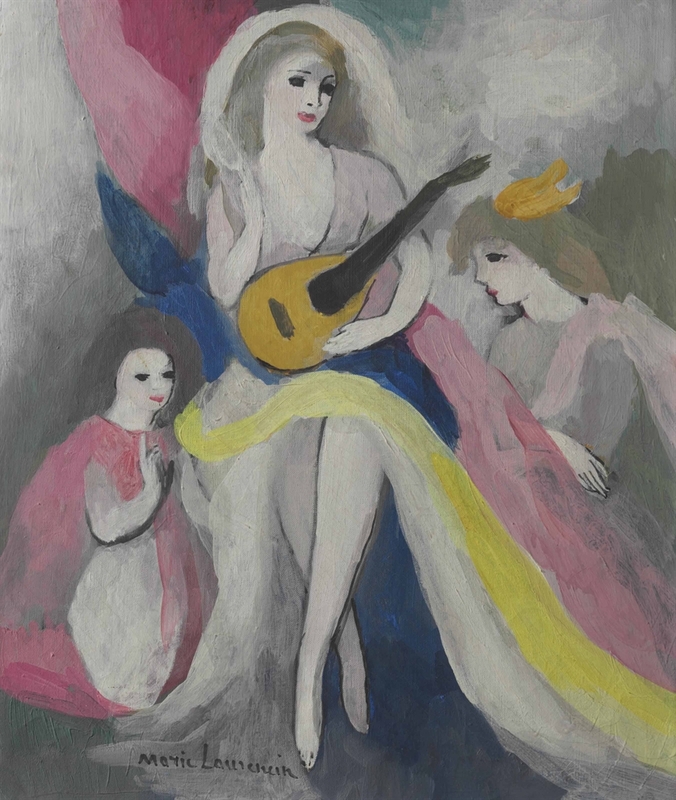 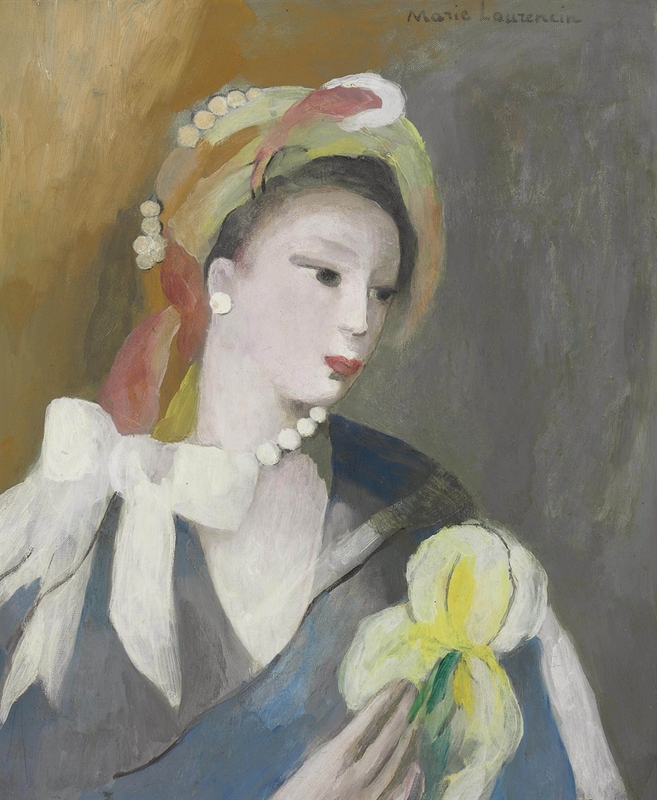 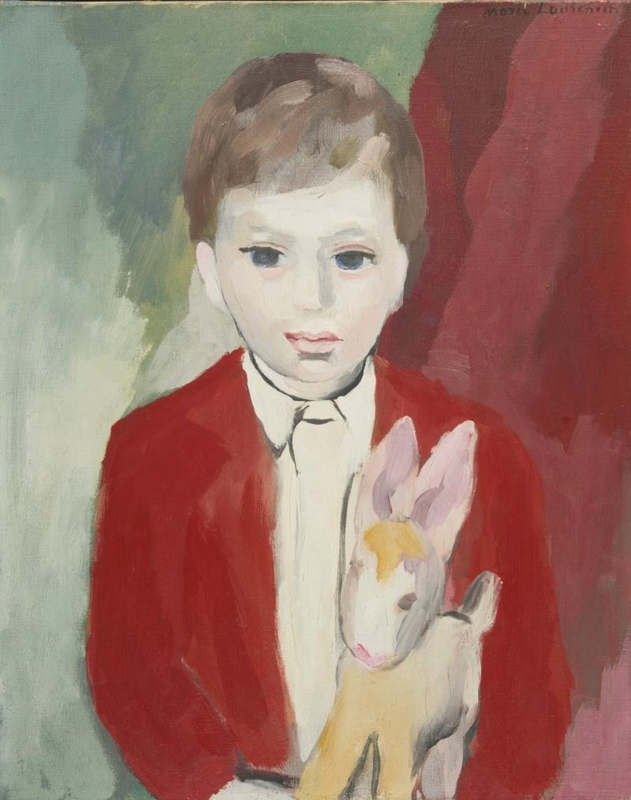 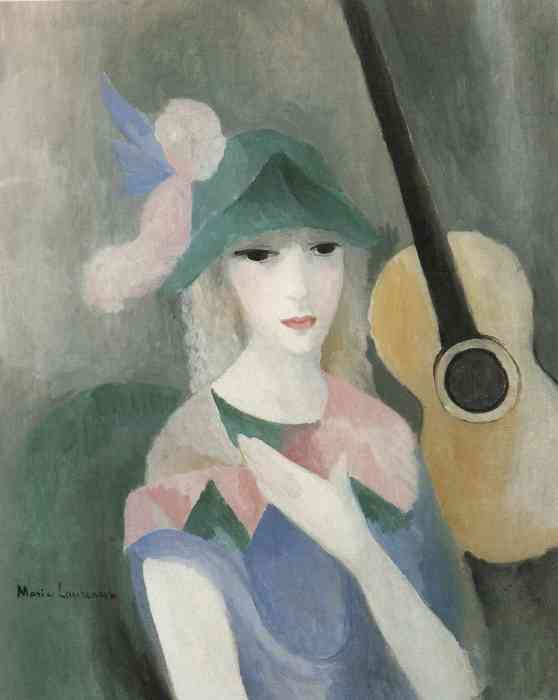 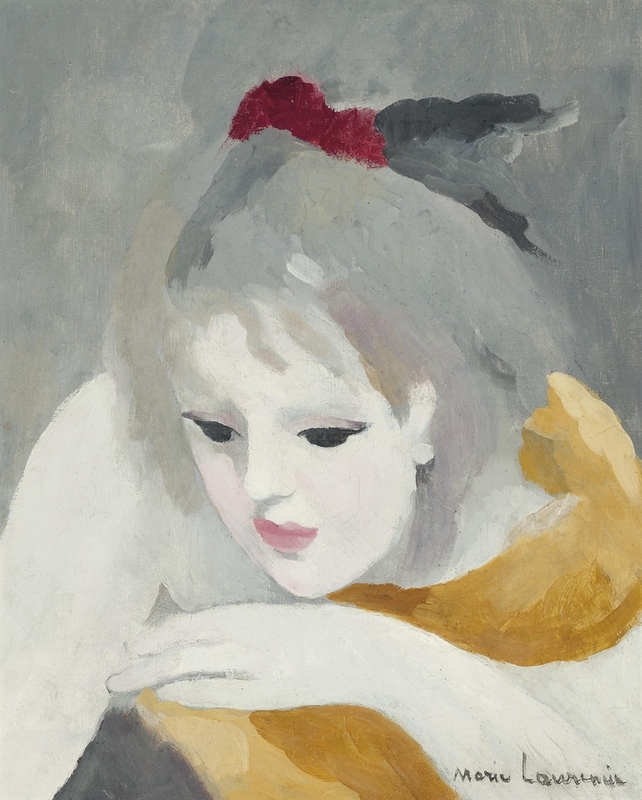 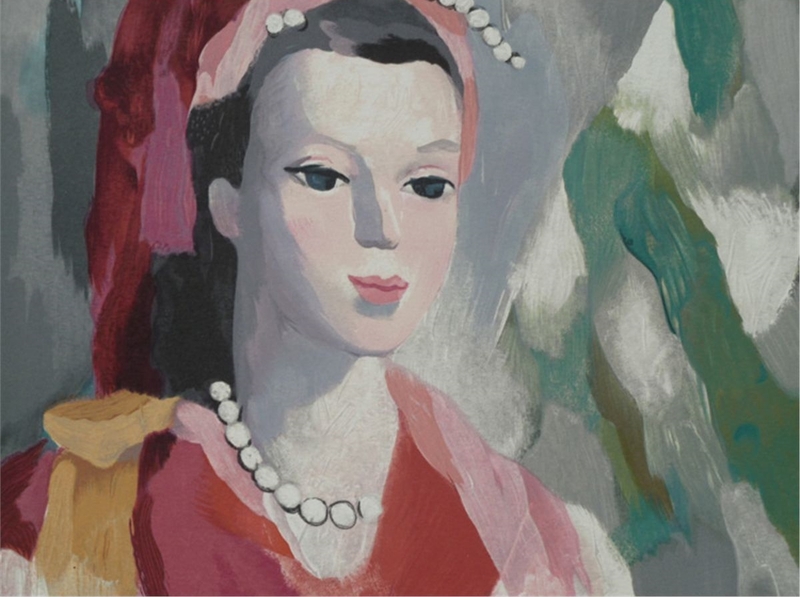 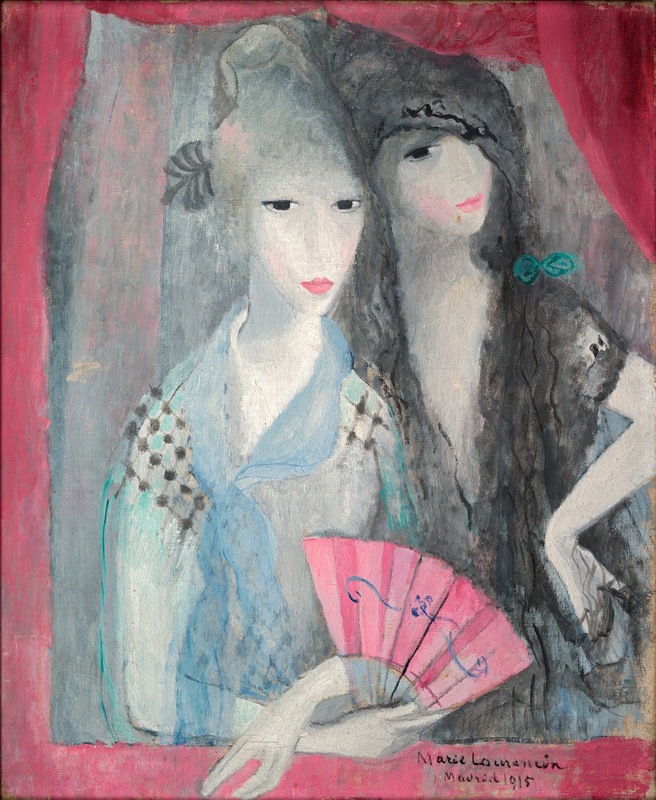 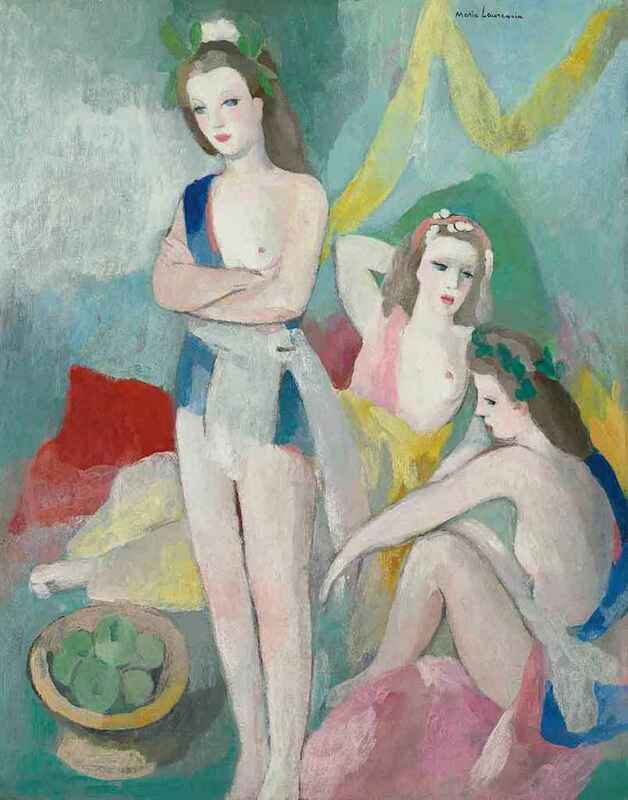 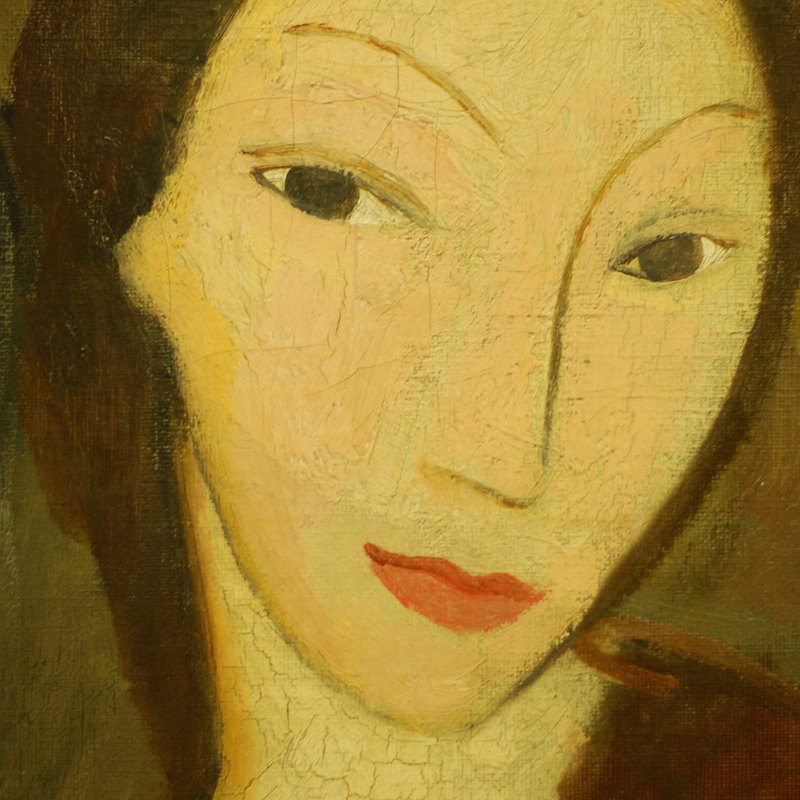 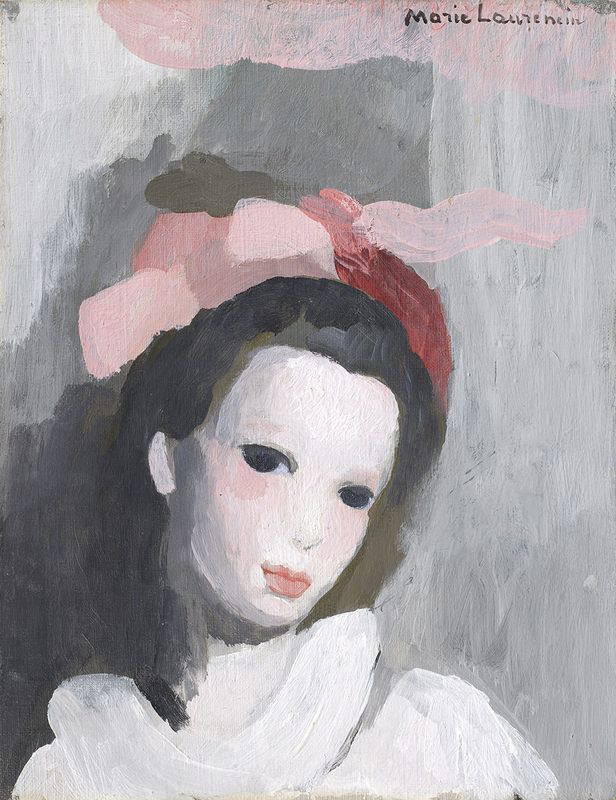 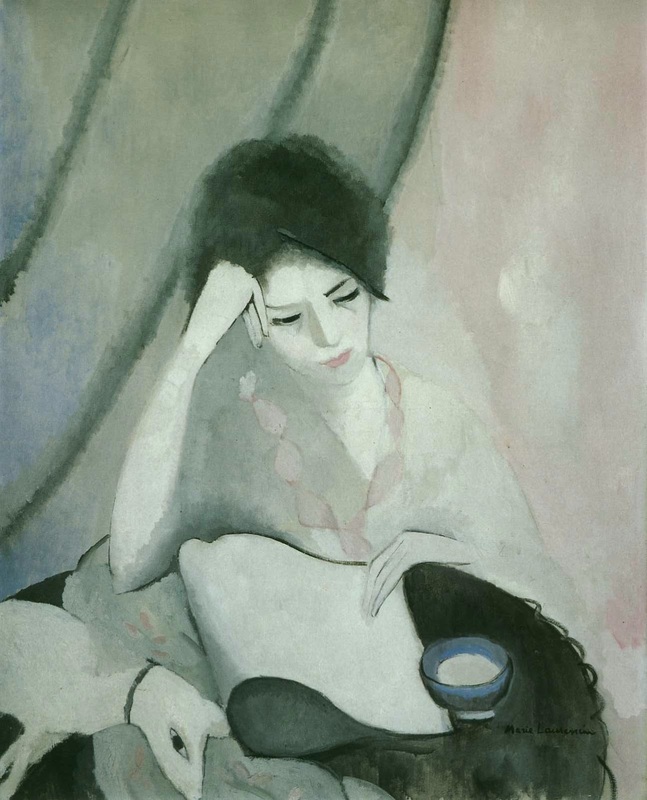 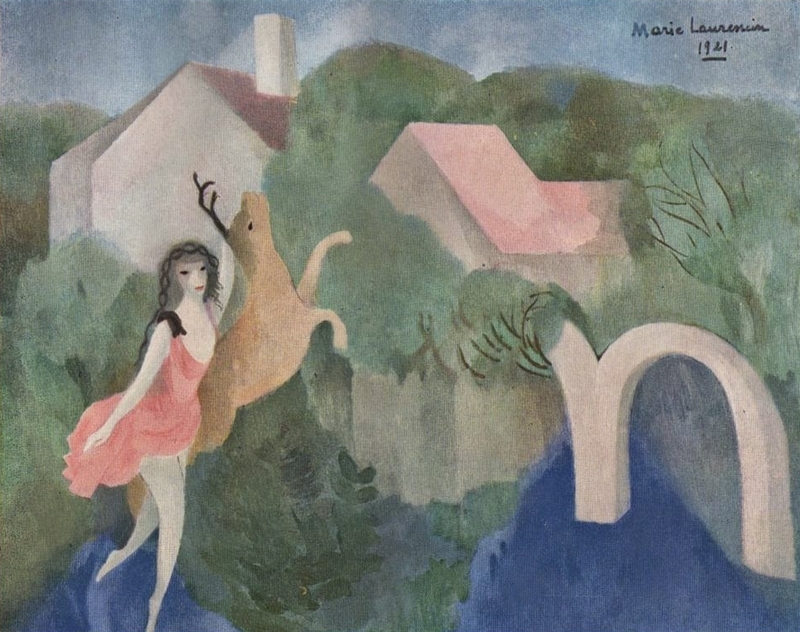 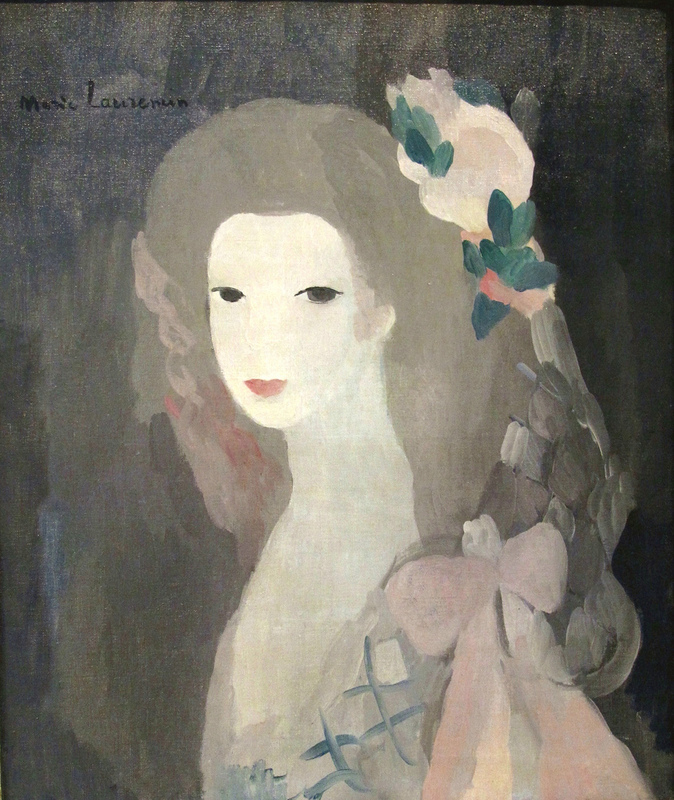 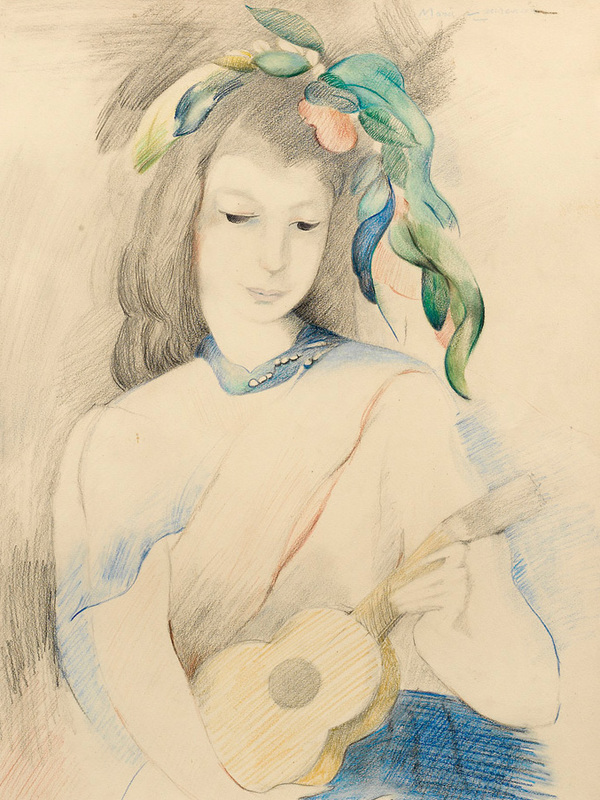 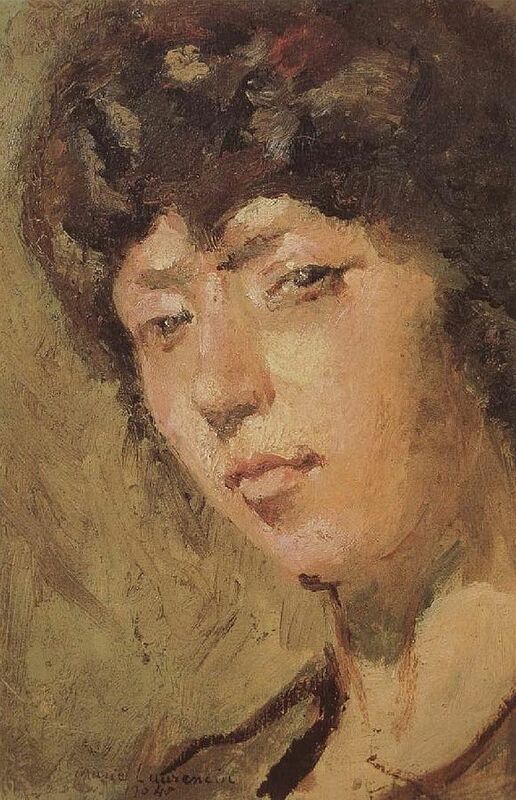 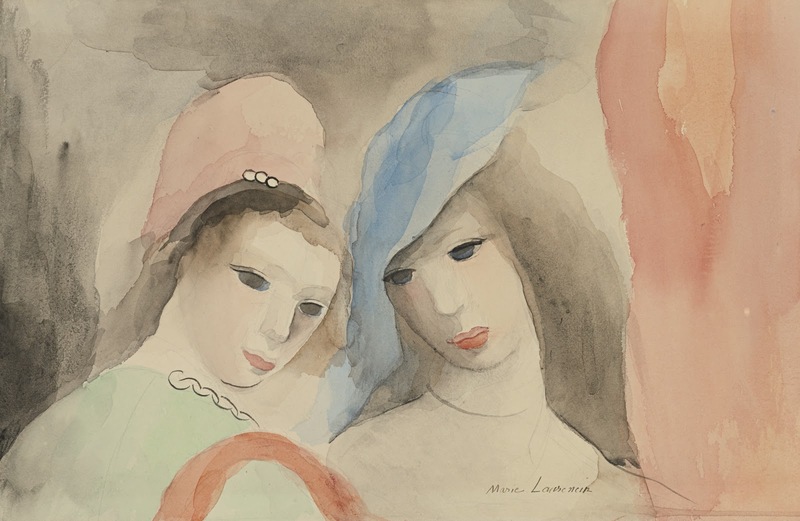 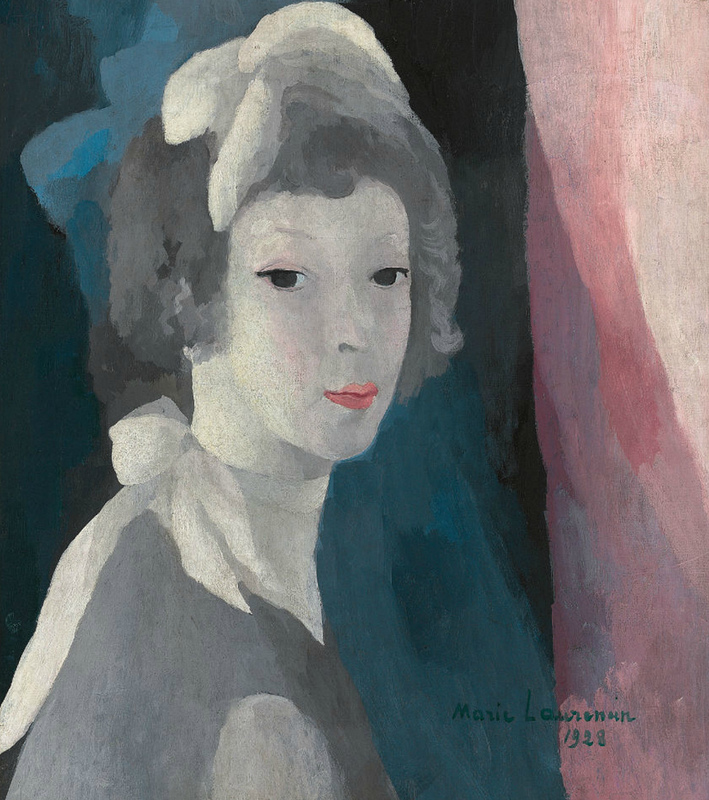 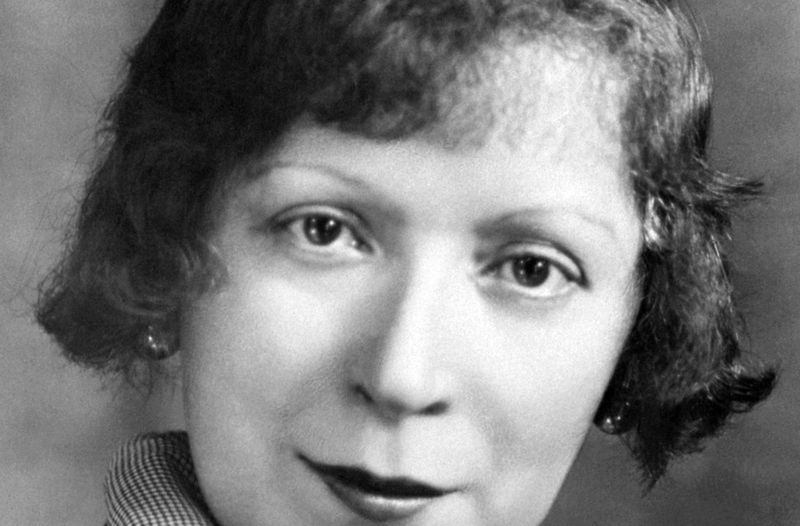 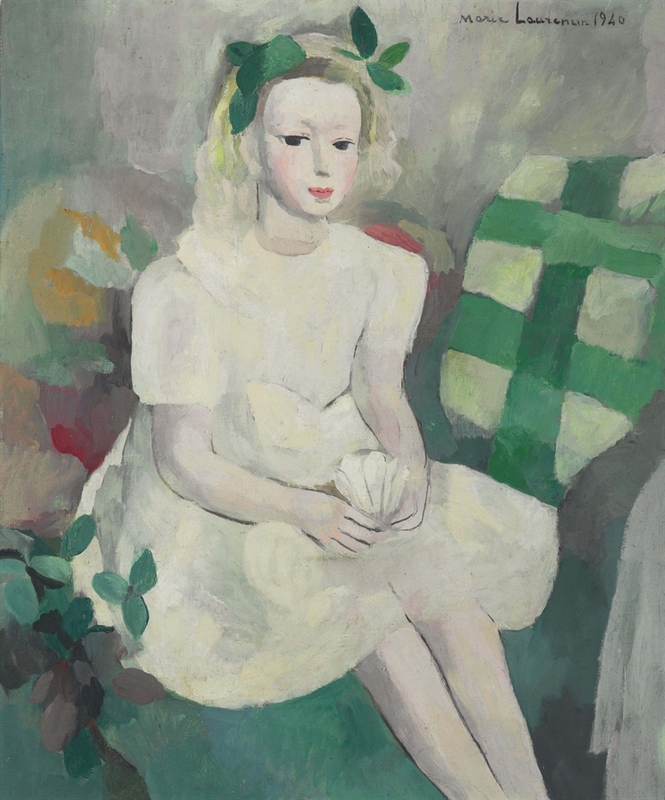 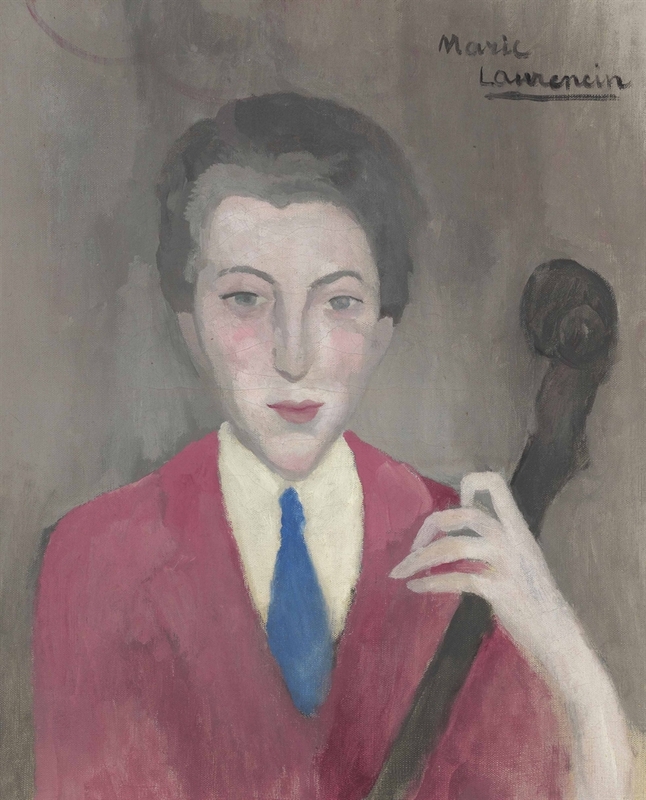 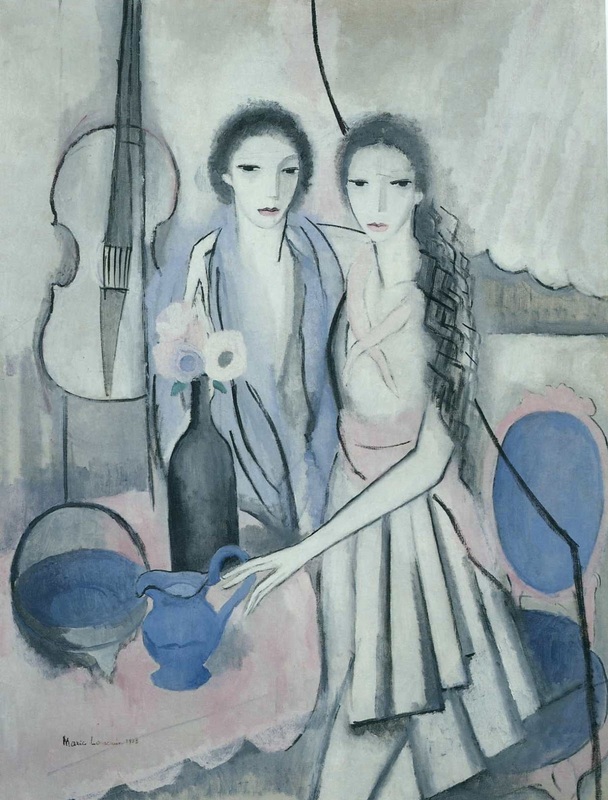 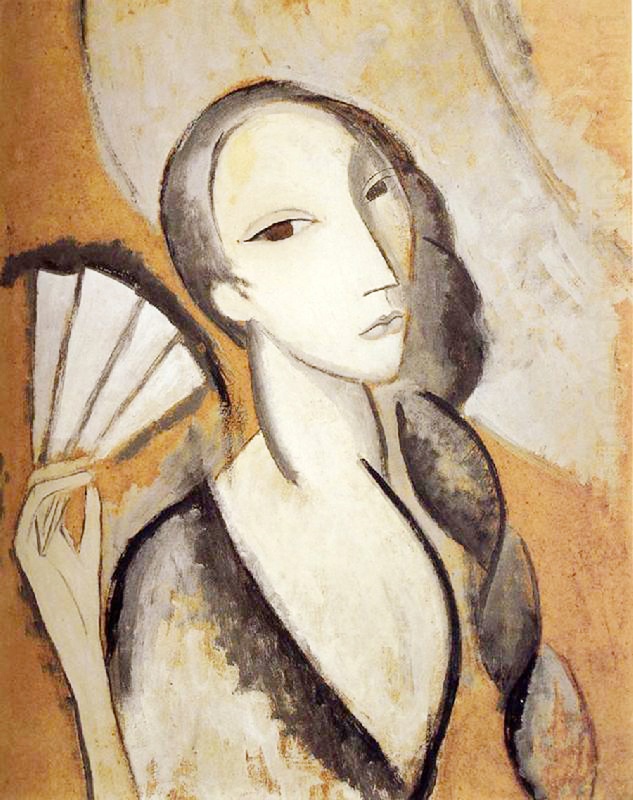 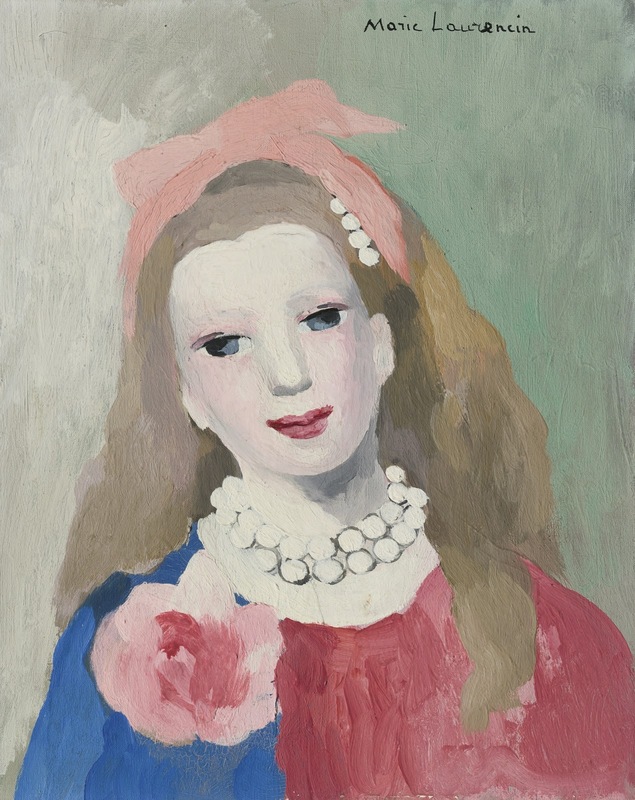 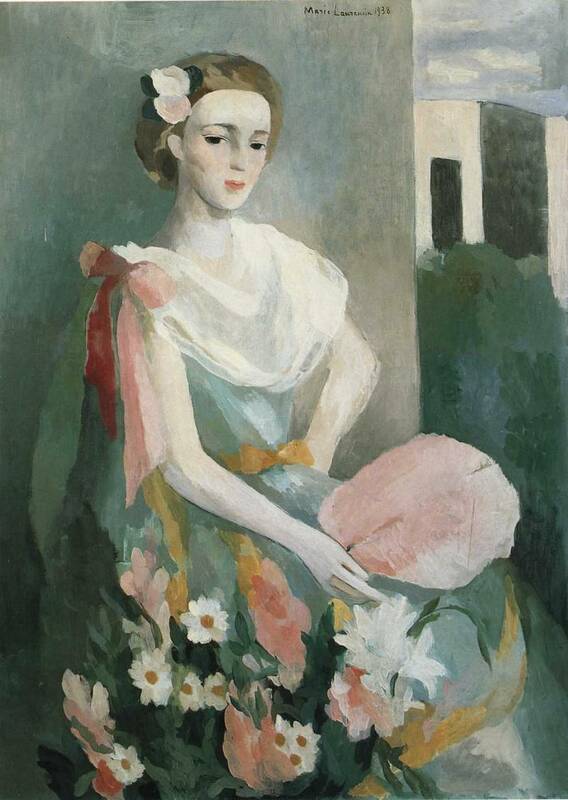 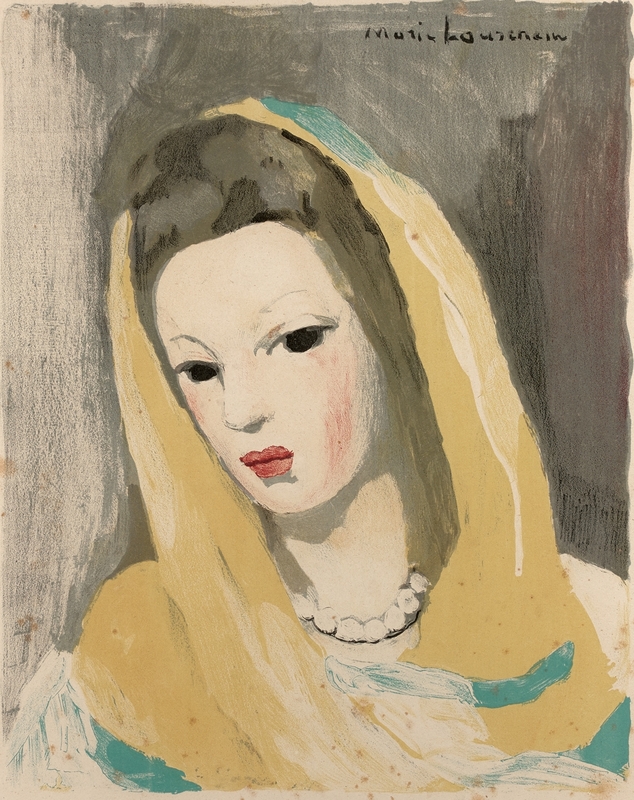 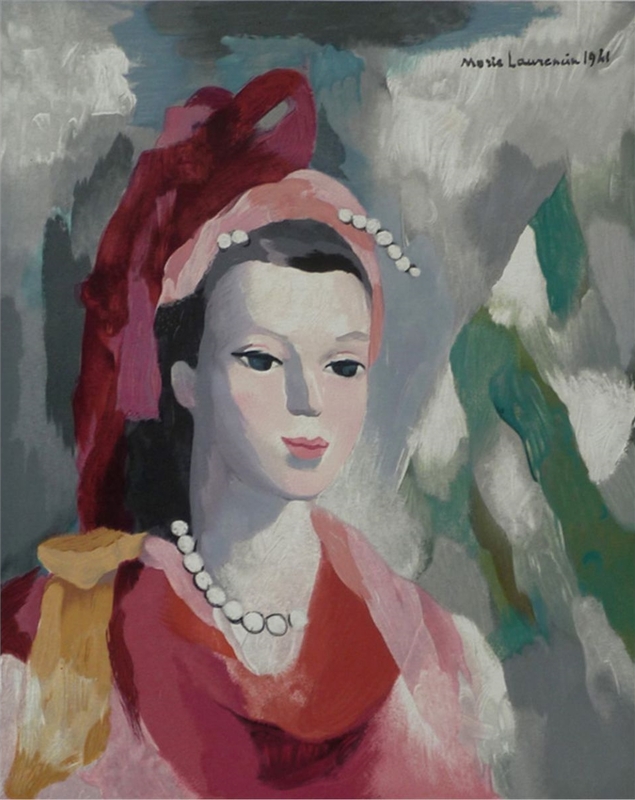 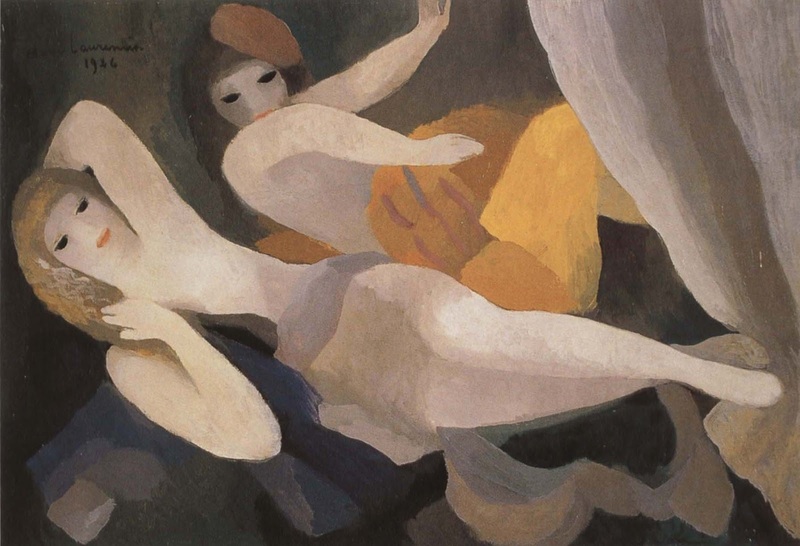 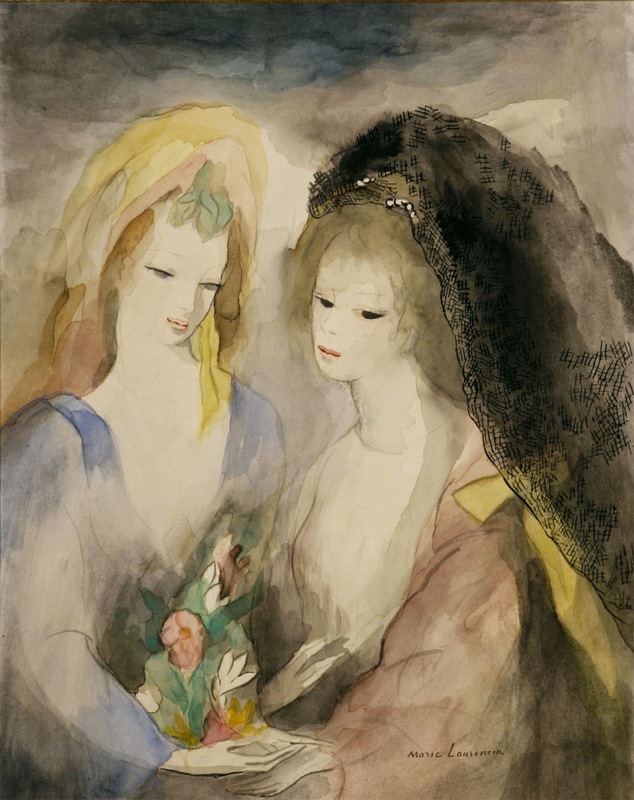 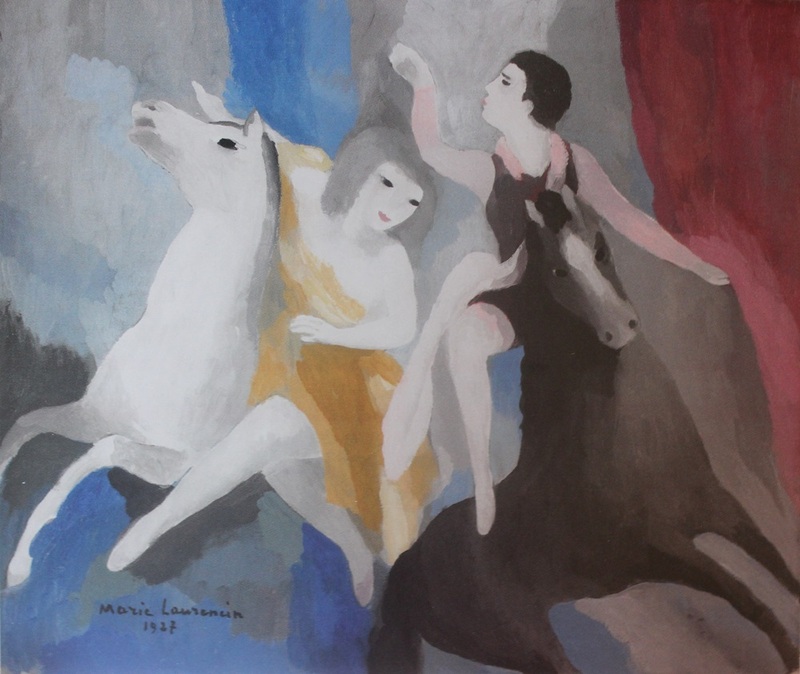 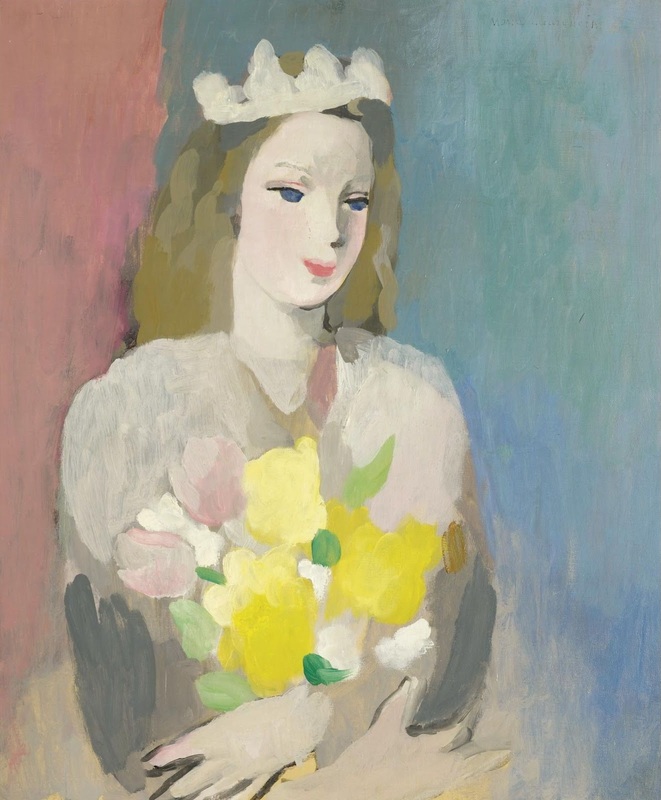 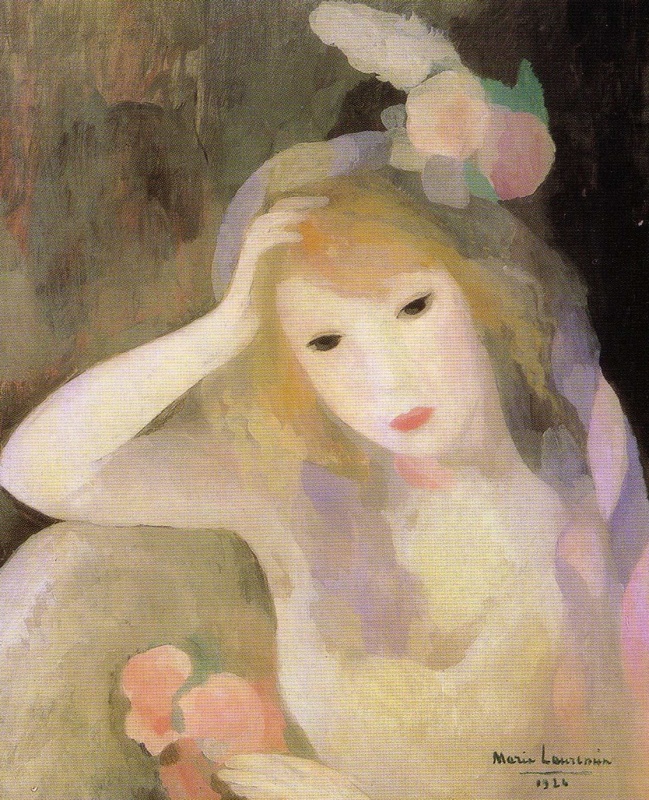 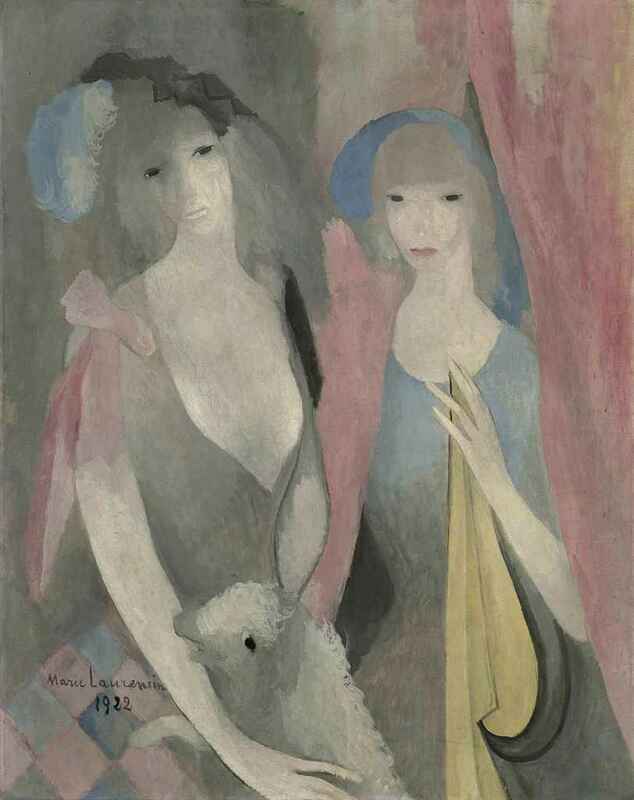 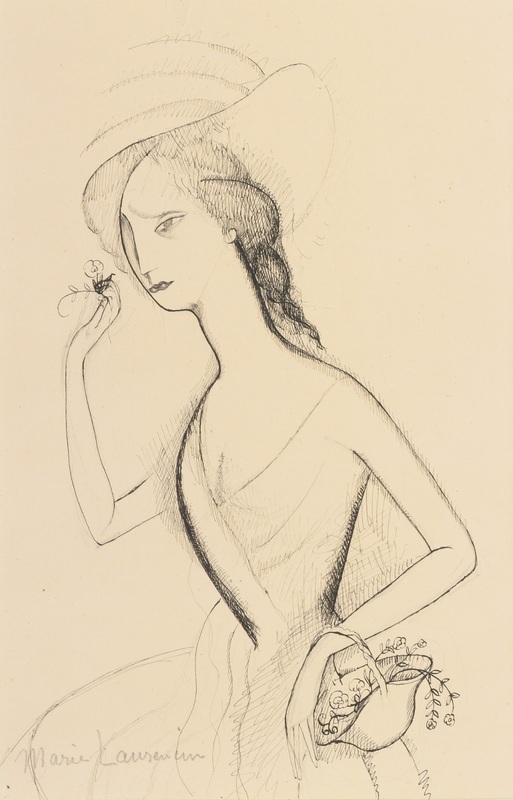 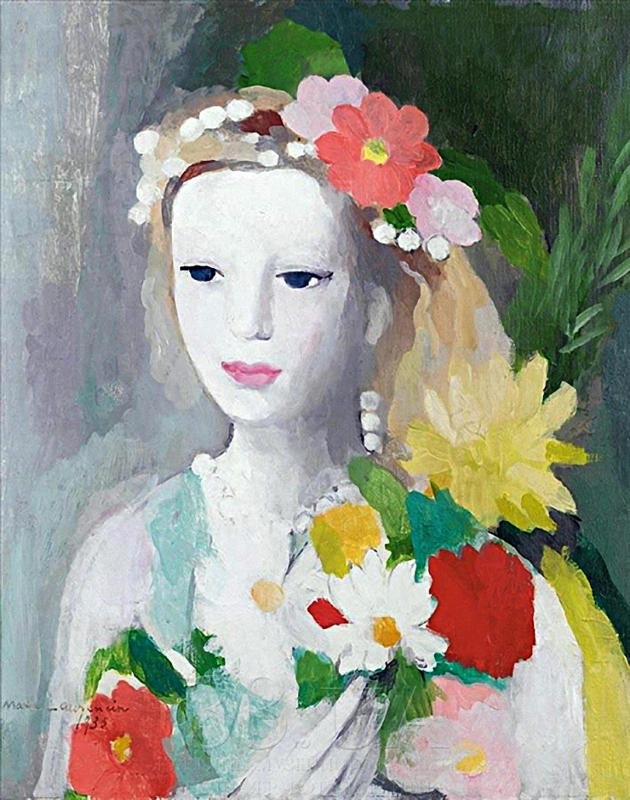 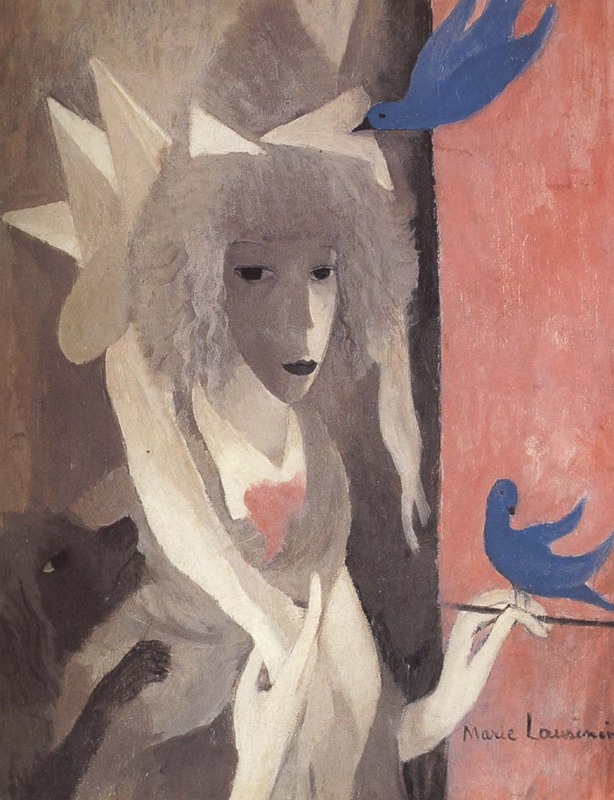 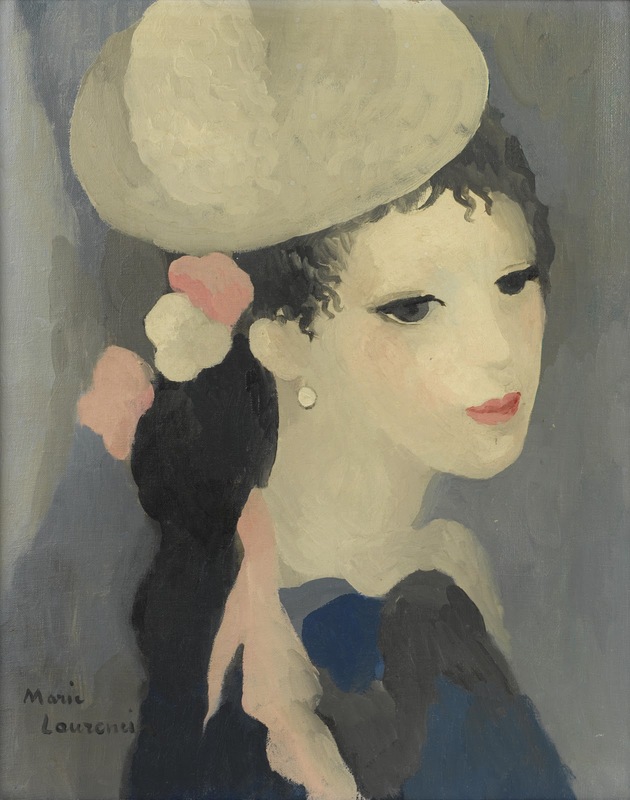 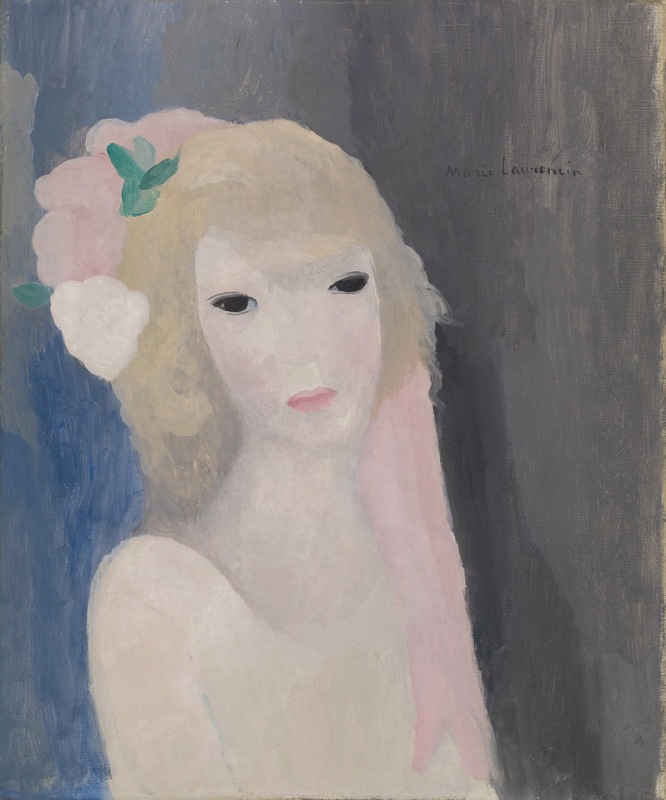 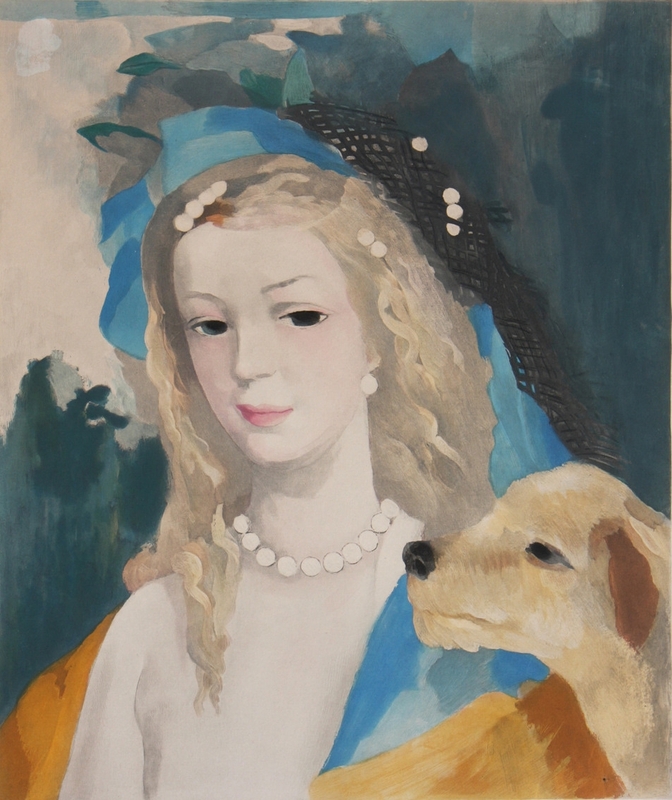 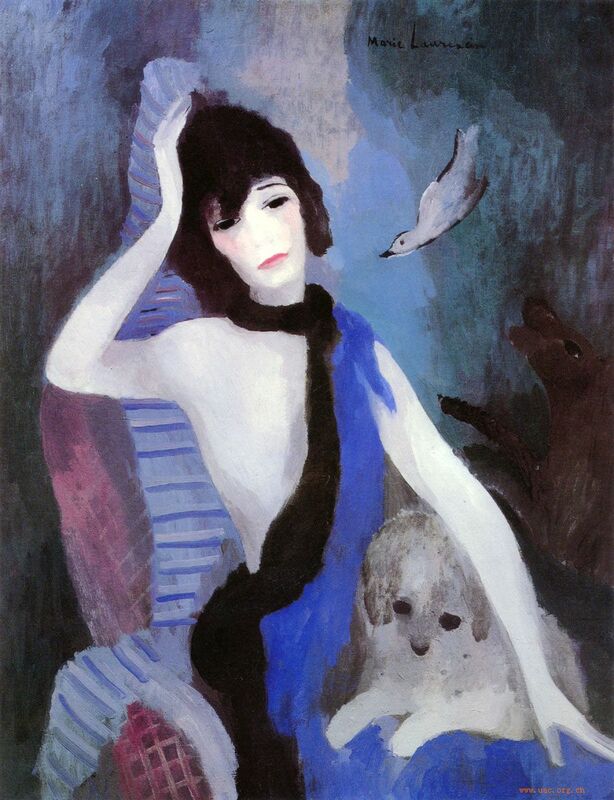 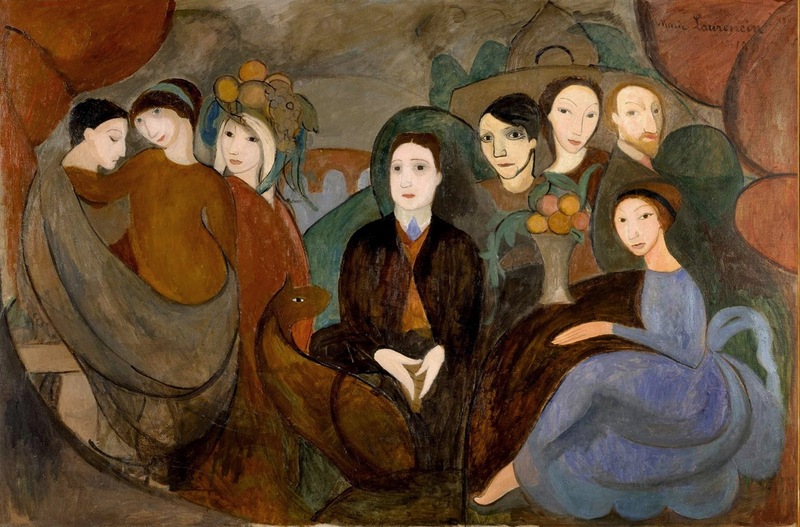 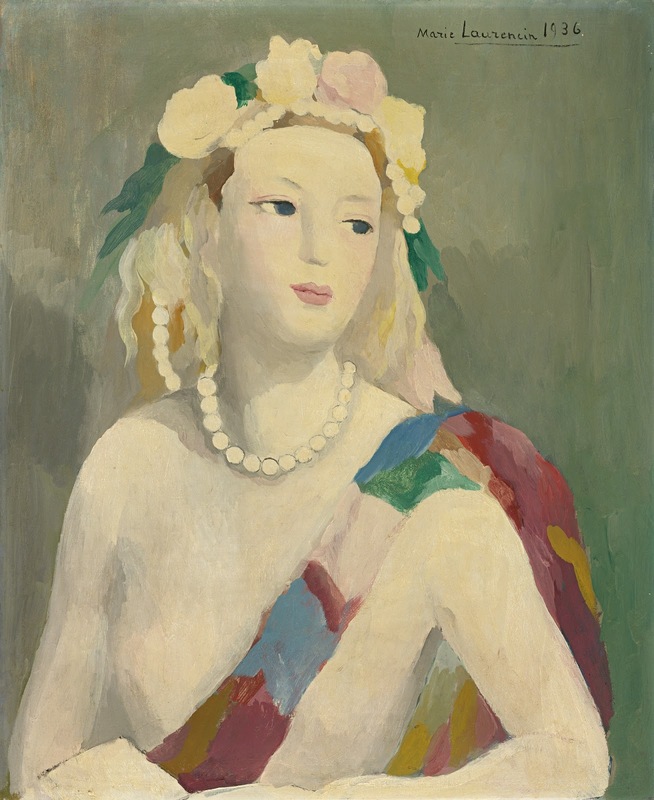 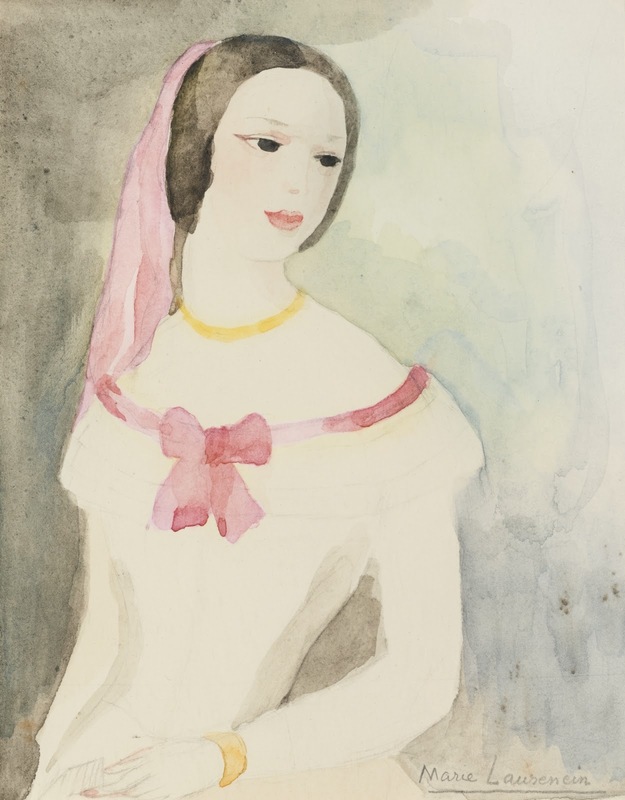 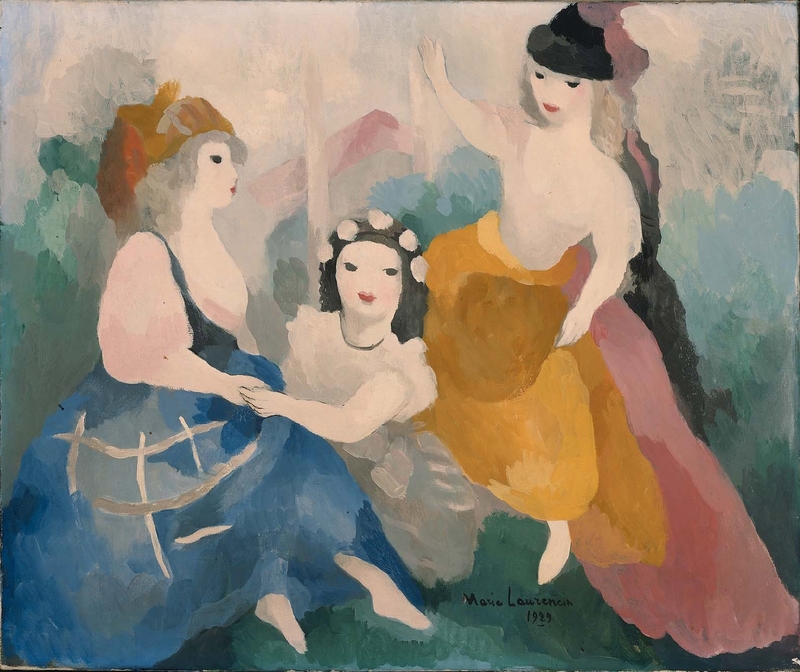 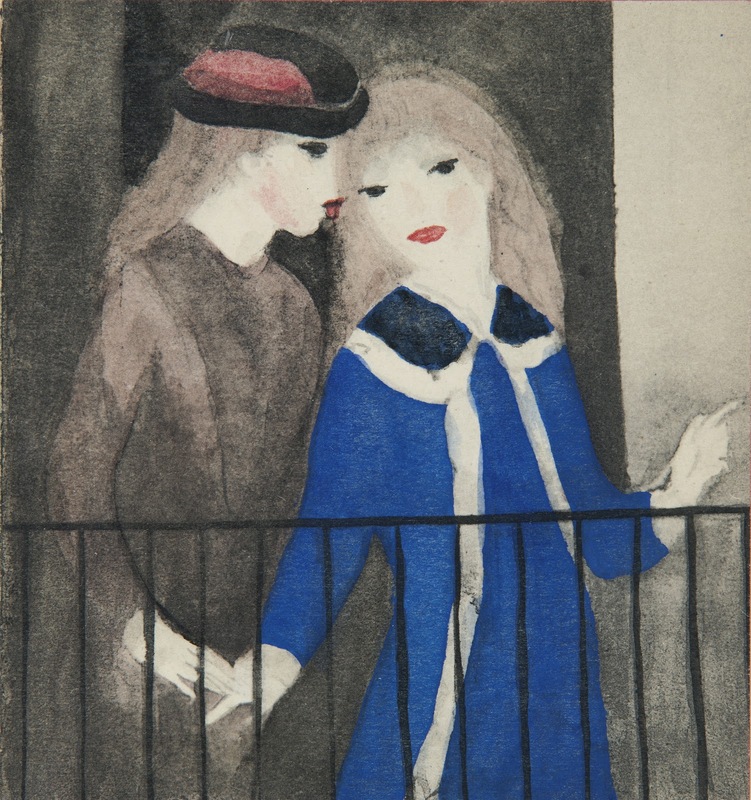 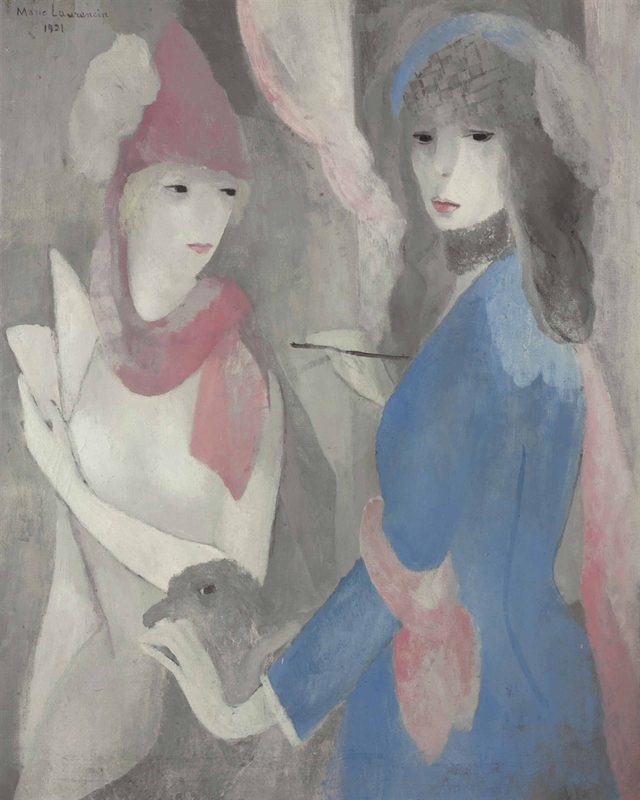 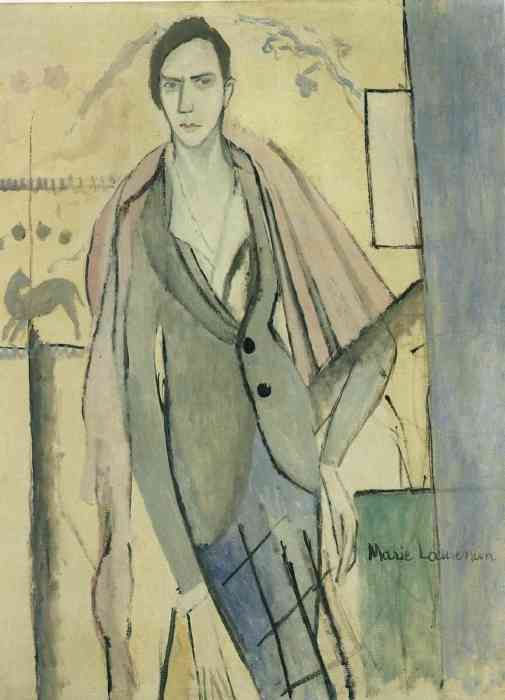 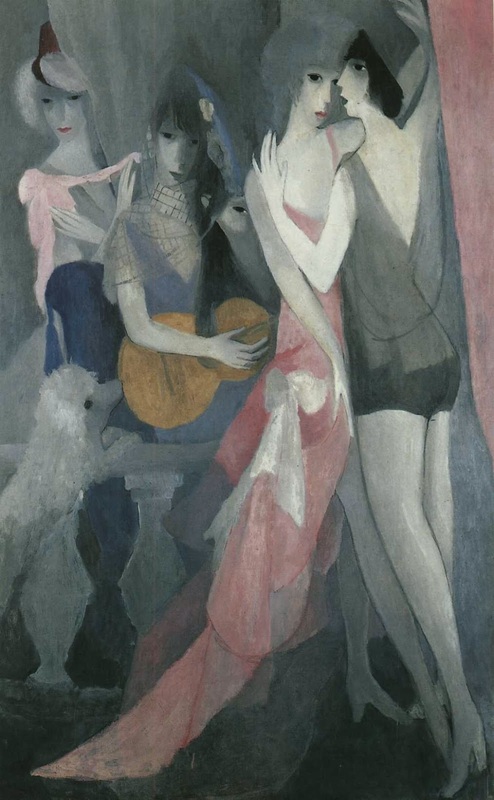 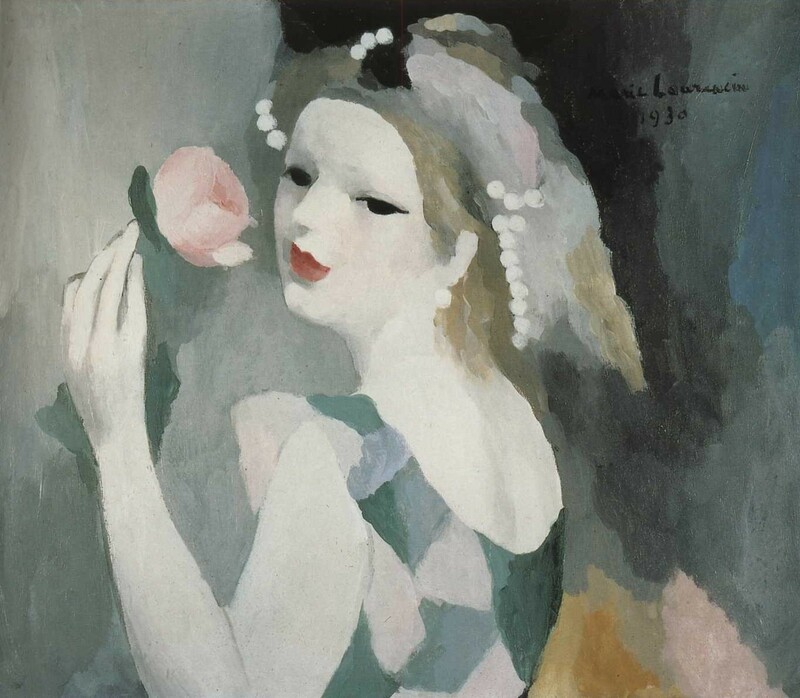 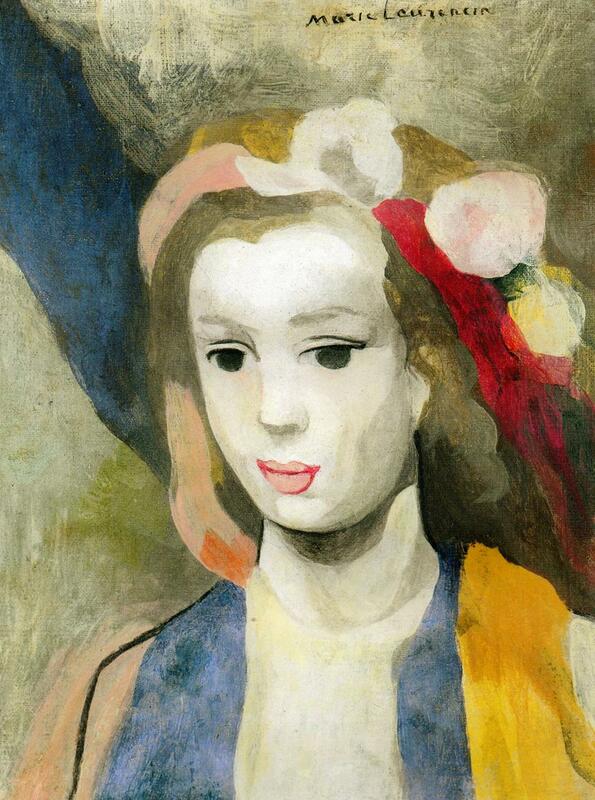 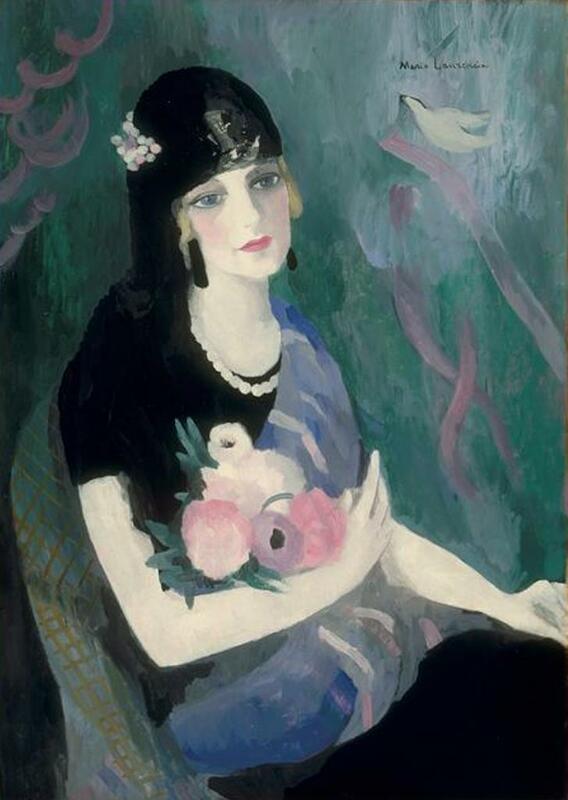 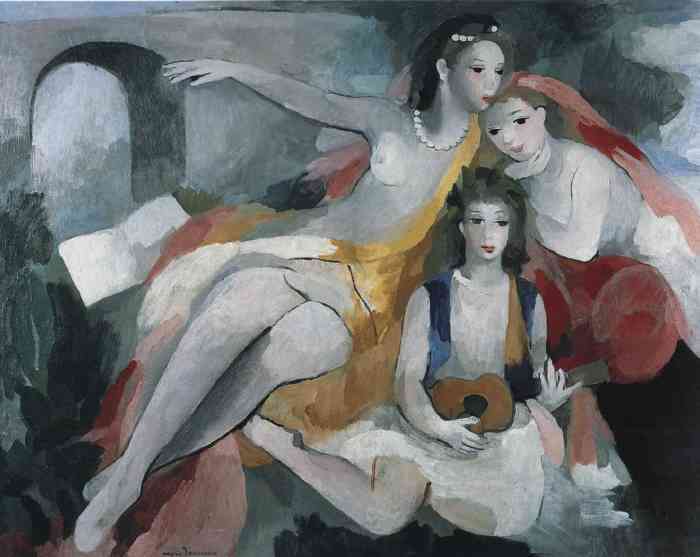 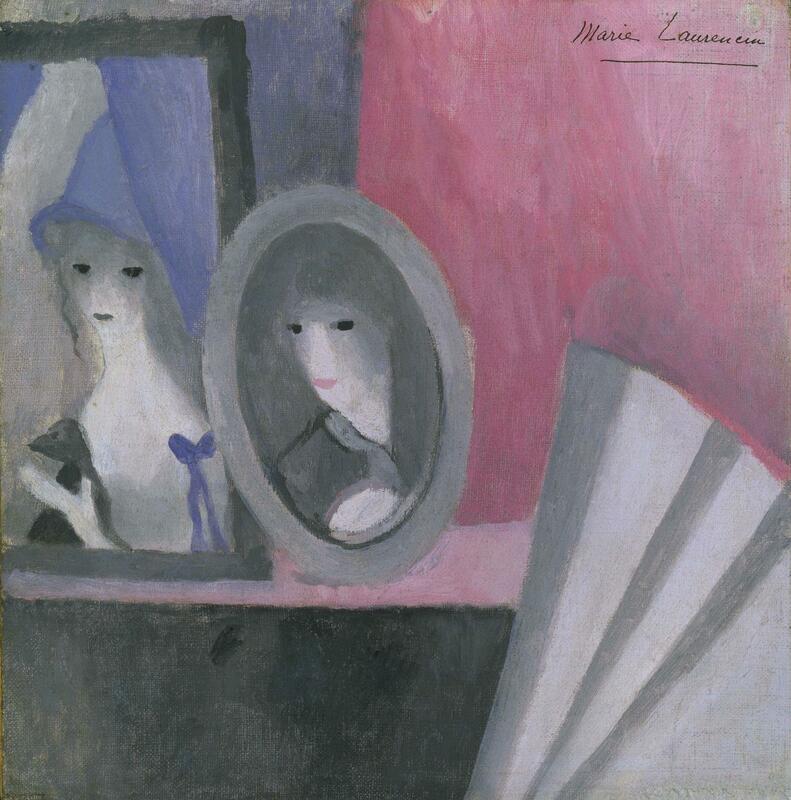 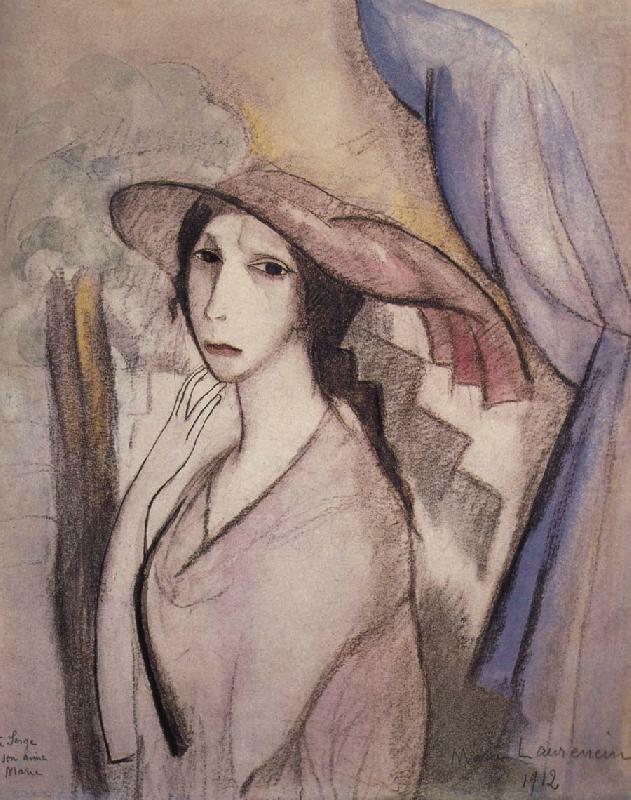 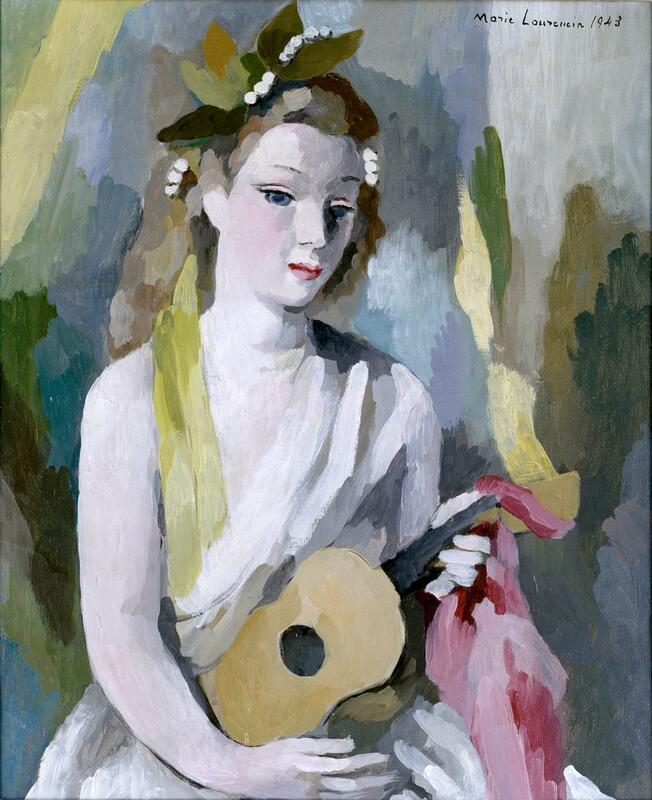 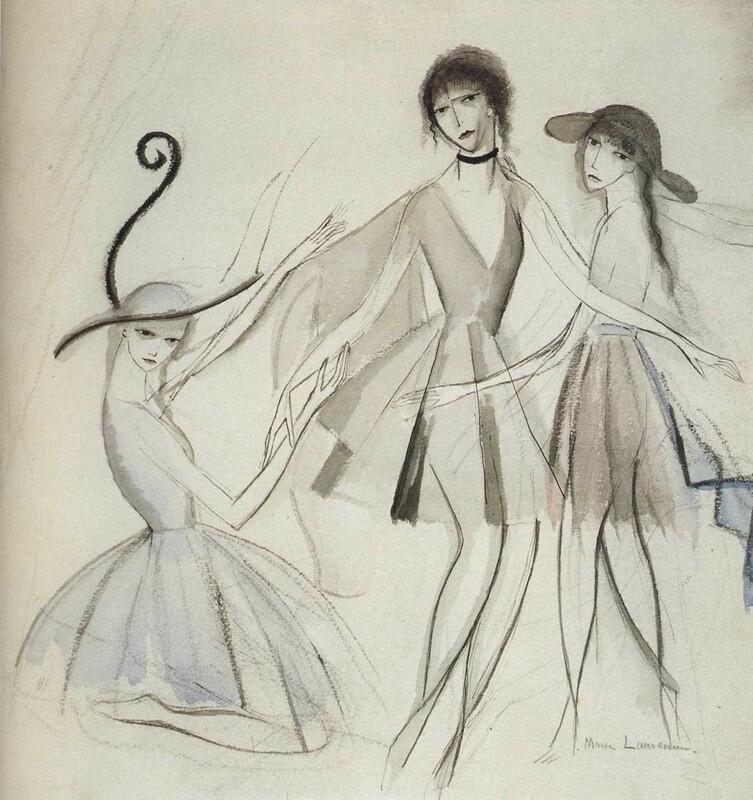 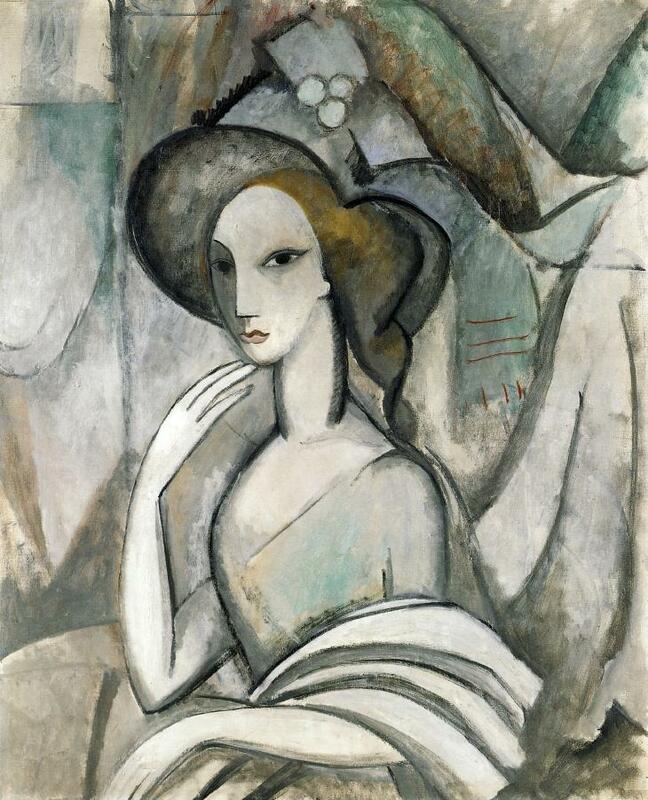 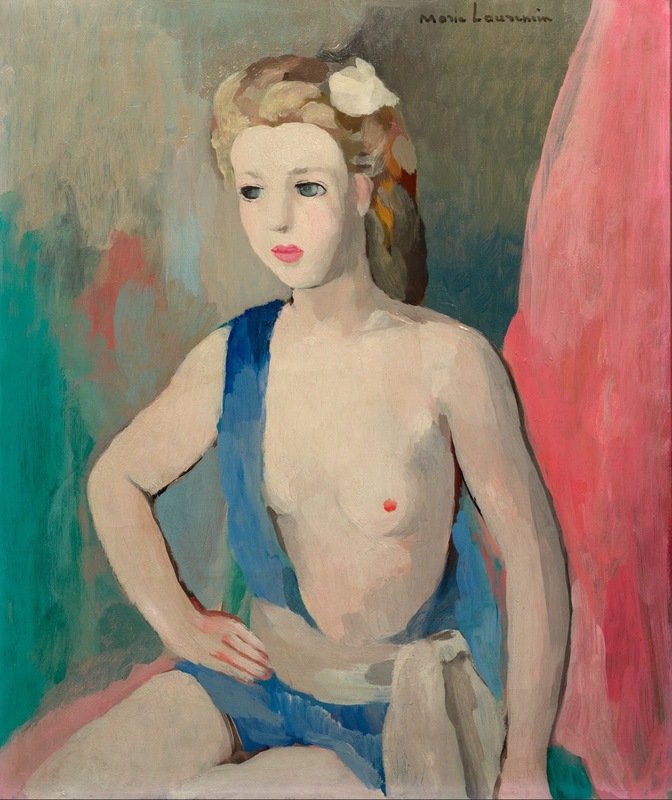 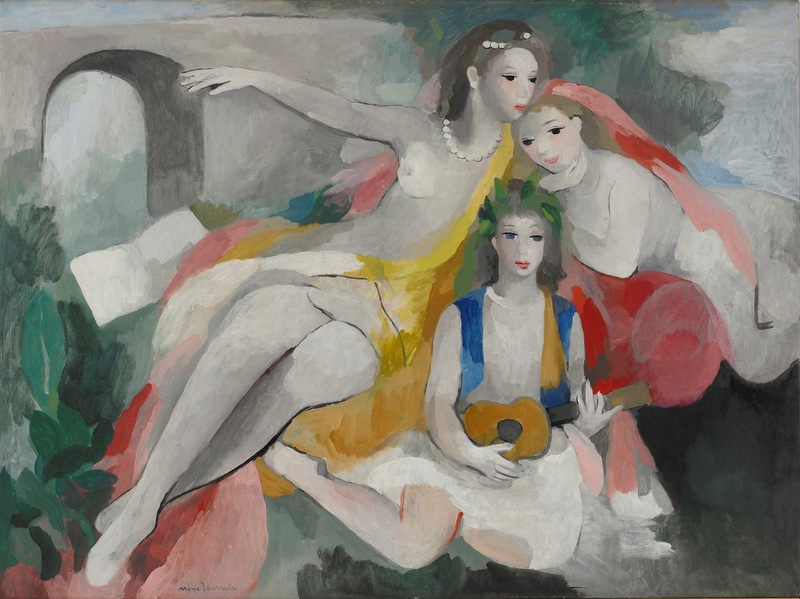 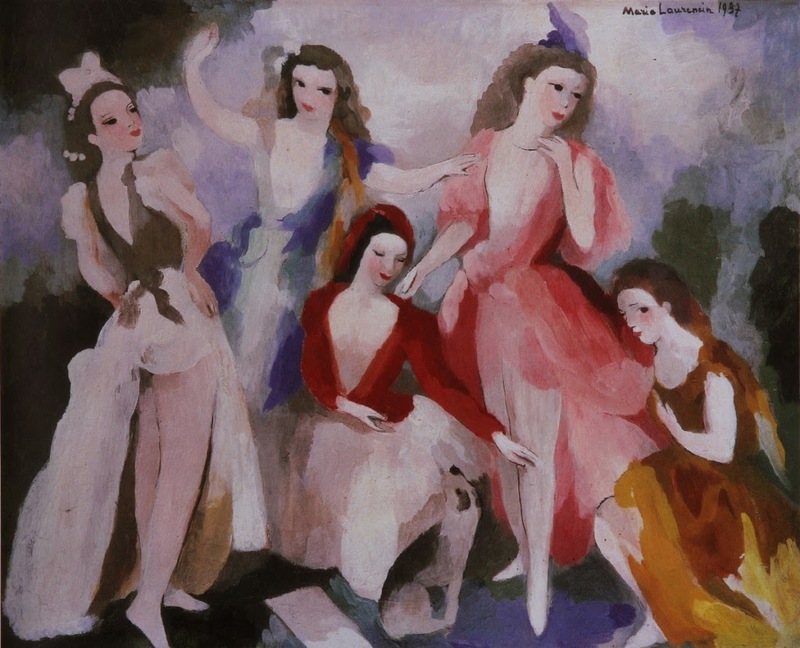 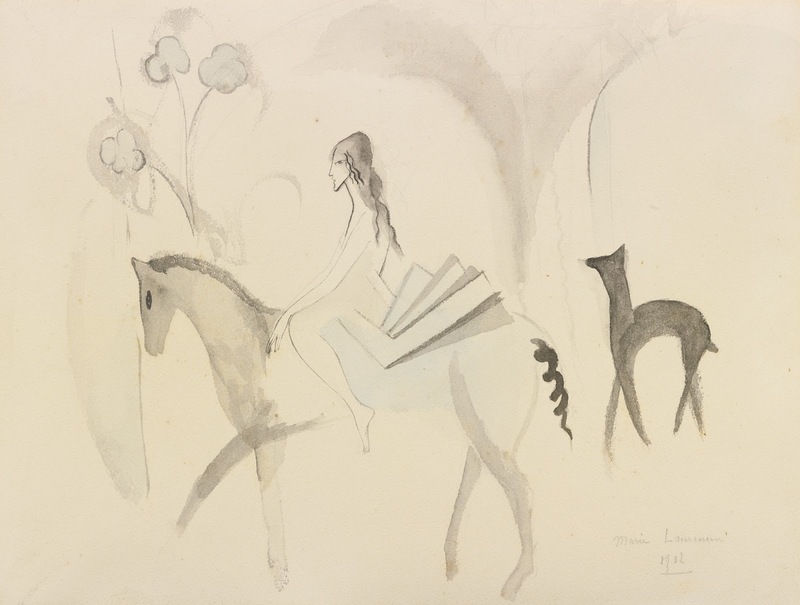 Marie Laurencin (1885-1956) French painter, designer, illustrator, etcher and lithographer. 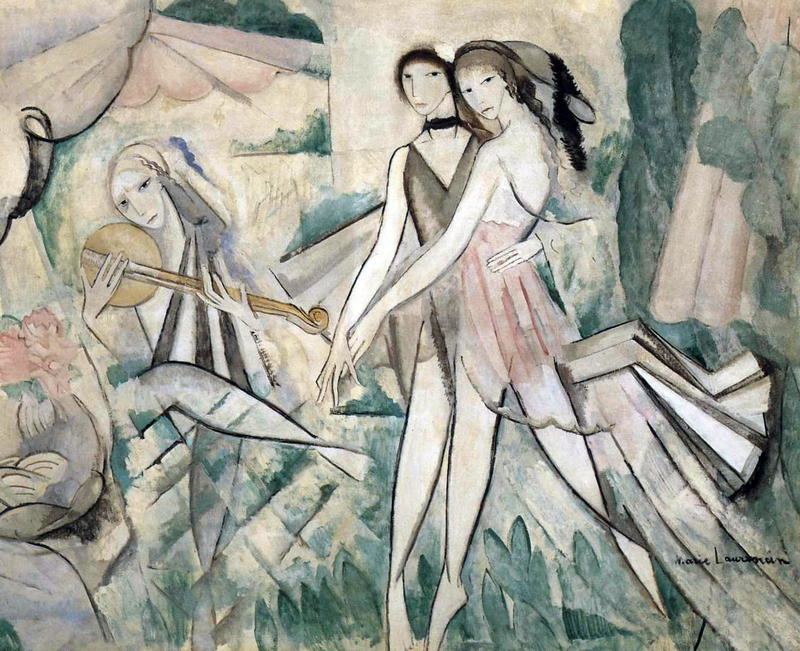 Born in Paris. 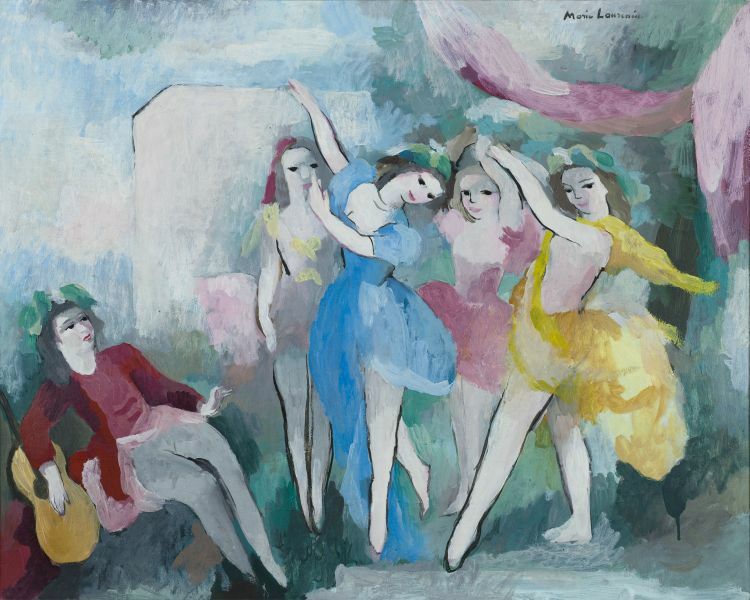 Studied at the Académie Humbert, where Braque was a fellow pupil. 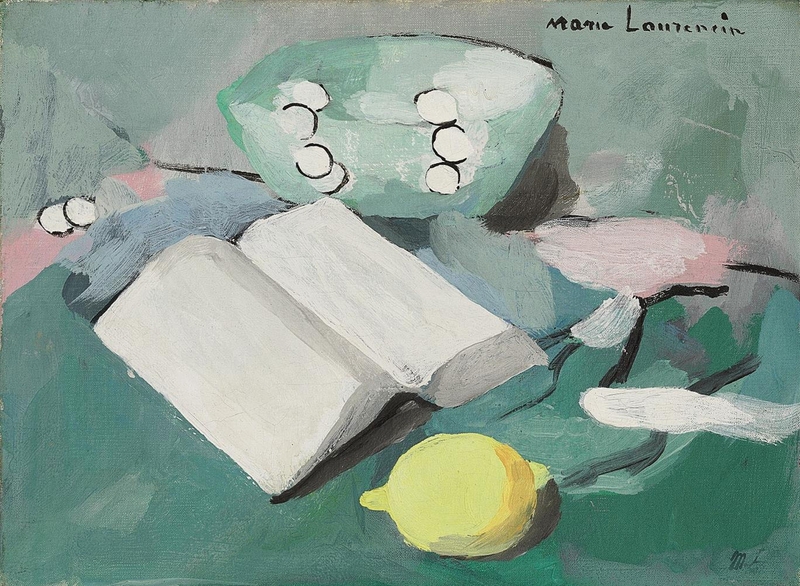 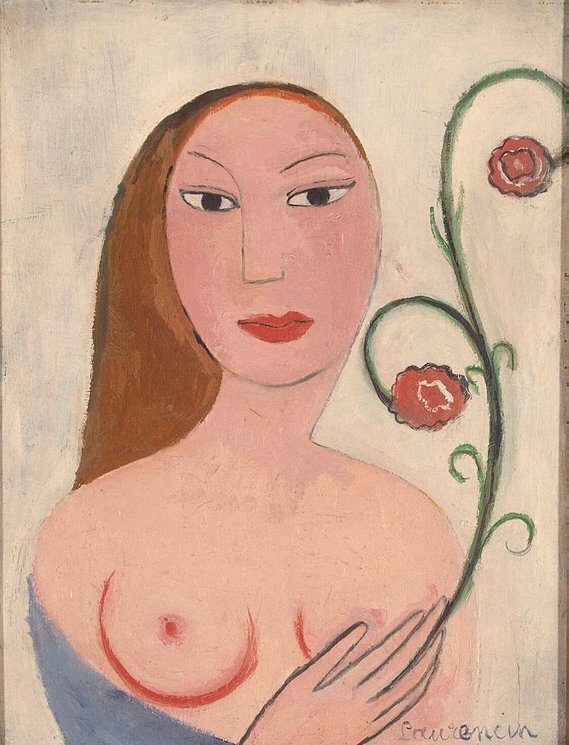 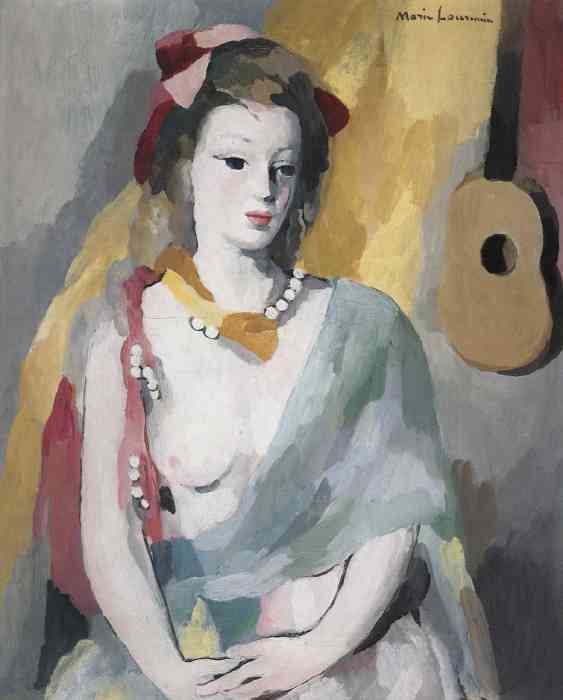 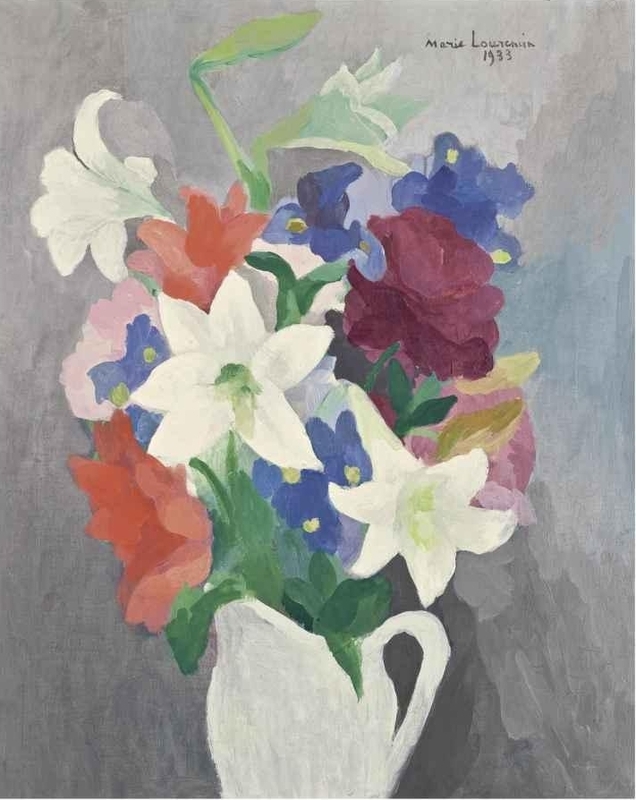 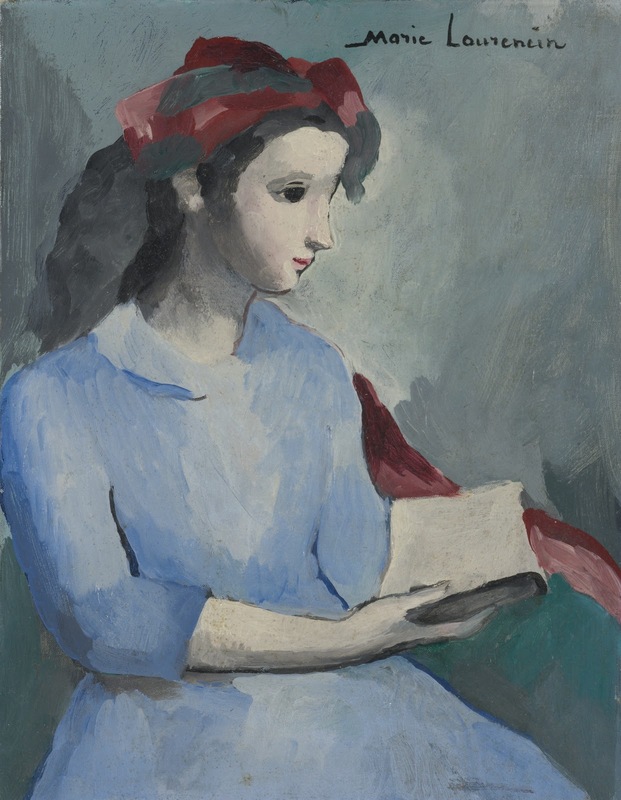 Met Picasso, André Salmon and Apollinaire; influenced by Picasso and Matisse, and began to paint pictures mainly of sloe-eyed girls in a decorative, arabesque-like style. 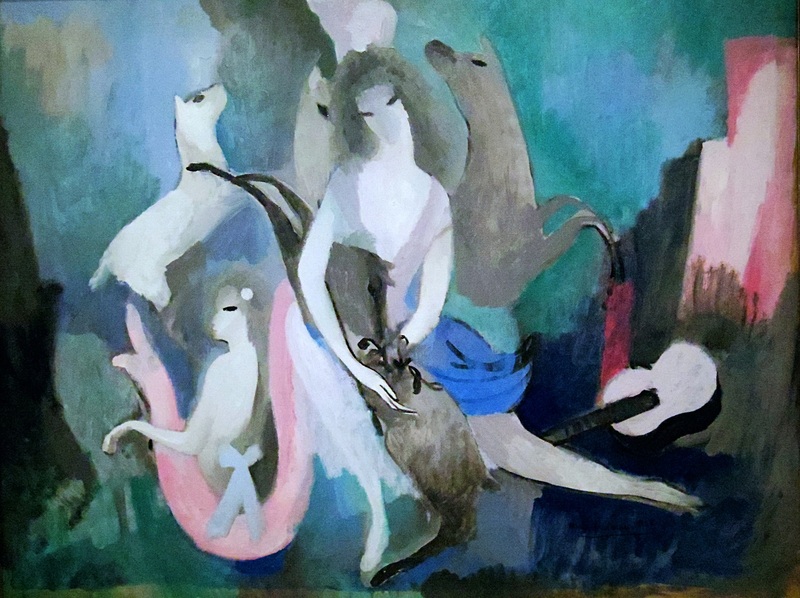 Painted 'Apollinaire, Picasso and their Friends' 1909.